In Part 1 of my autobiography, I talked about my beginnings and the birth for my passion for cars. Then in Part 2 of it, I went on talking about all the disasters and calamities that unfolded on me during my time in school but kept going by closing them off by focusing on my passion. In this part of the autobiography, you’ll be reading about my journey to high school and university in India, getting my driver’s license, the origins of my passion for start ups and how that made me end up joining Car Throttle. Mysery at High School Again, Making New Friends and Finding Inspirations and Roll Models. 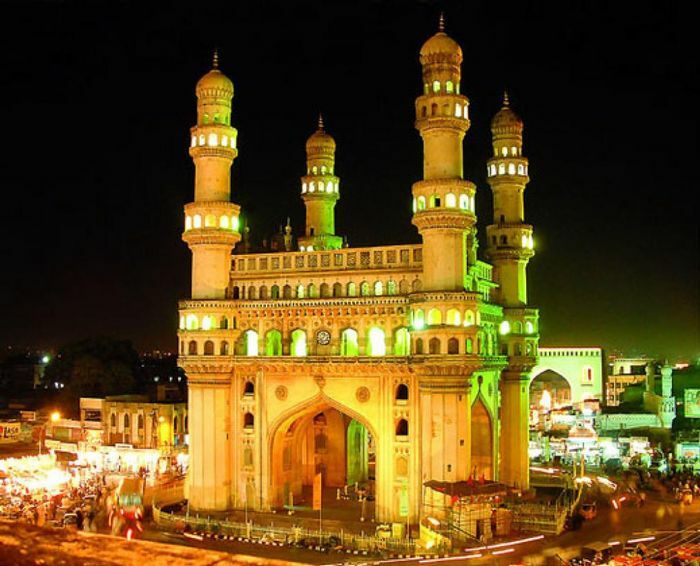 Chaar Minaar (Four Pillars) is an iconic heritage site of Hyderabad for which the city is known for. Returning back to India didn’t took me long to adjust to the new surrounding and environment. Our country had been developing at a fast pace and as a result, we had a lot of facilities and convenience at our disposal. The area where we now live has now turned into a commercial area filled with businesses from restaurants to hardware, car showrooms, theaters, malls and even grocery stores… there was everything that I could just walk out and buy whatever I wanted to. 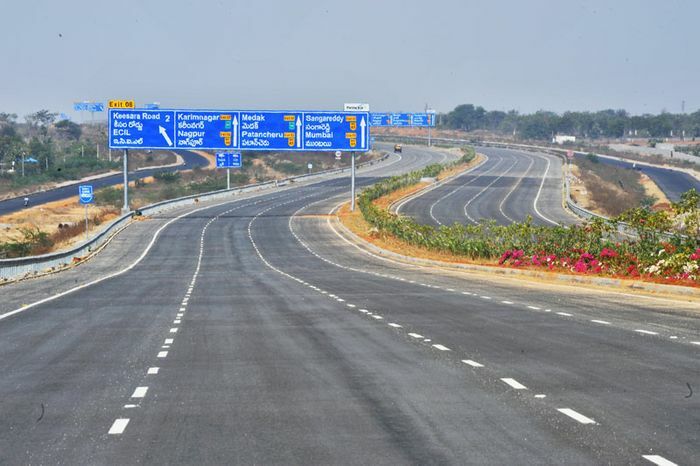 The 'Outer Ring Road' was built by a Malaysian company back in 2010 and is a great way to get from one end of the city to the other without any traffic congestions or interuptions. Over the course of the past decade, our then elected Chief Minister of the state had used funds and grants to build the IT infrastructure in our city providing them with a land large yet sensibly priced to setup HQs. This allowed the establishment of companies such as Google, Facebook, Wipro, DLF, Microsoft, Apple, Qualcomm and various other IT services in the city. This meant that a lot of the services were now being provided for less all while being able to help with the development of the brands value and products that would come in the years to come. All those business establishments meant that there was innovation, job creation, employment and progress done at an unprecedented rate which also bought in a lot of cash to the state which in turn saw people of my state who invested in this business model ended up with a lot of money to spare. That spare cash ended up being used to buy luxury cars, sports cars, supercars and hypercars. And that meant that I didn't have to be a downer to not be able to do supercar spot seeing in my country. 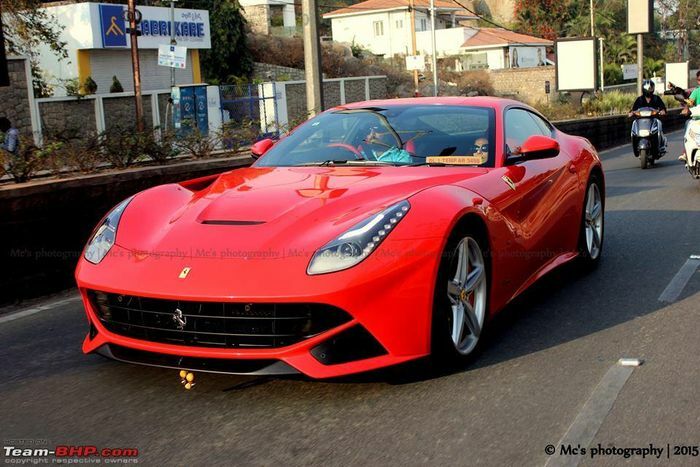 The large amounts of cash inflow into our country meant that supercars were becoming a more common sight in certain areas and cities. After returning from Saudi Arabia, once we’re settled in our house here, my parents immediately started to look for a board exam training institutes to admit me into. As I had finished my high schooling there in Jeddah, there was no scope for future studies beyond that there for Asian immigrants. As a result, we were forced to look for Engineering board exams here instead. And based on the advises my parents received from our aunts and uncles, a high school/training institute located about 10 minutes from my house was chosen for my engineering board exam. 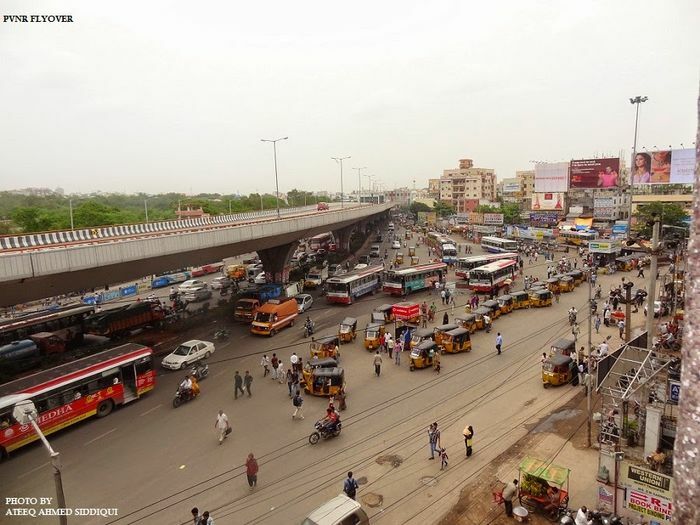 This location mostly comprised of several educational institutes all clobbered up in complexes and high ranking IAS officers settlements around that area. These institutes were located adjacent to the main road which for the most was always congested and bustling with buses and traffic horns from the bus station going off from both sides of the median made this the worst location for an institute to be established. It was a very non-ideal location for setting up educational institutes. The training institute selected for my board exam training wasn’t particularly a High School college/training institute to begin with. It was situated in an old commercial complex that hadn’t had it’s interior finished. Wires of fans and lights running across the ceiling, a single layer of paint on walls, broken benches and windows, insufficient lighting, broken black boards and overly packed classrooms. All these meant that it wasn’t particularly any standardized institute either. But because of their heavy investment on PR to promote their brand using any amount of students that makes in the Top 100 ranking of the entrance board exams, people would assume that these colleges are churning out quality candidates guided and tutored by state leading tutors that would help them achieve that rank and get them admission in Engineering colleges or Universities. I got admission in the institute based on my age and pre-board result as the final board exam result still hadn’t been declared yet at the time. Once the admissions were over, I started my first day of coaching where I had realized that I wasn’t the only kid from Jeddah. In fact, there were two more students in the class who had completed their high school from IISJ as well who I got to know them a bit. 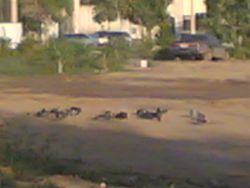 While I got to know them a bit, again the prolong studying hours made it impossible for me to get to them well enough. Making the schedule more hectic, even the classes were illegally conducted on Sundays which meant that the first few weeks, I had missed out quite a bit on the Sunday lectures and that meant I was blank minded the next day the classes continued. I wasn’t accustomed to such reckless teaching standards either - Prolong teaching hours with little or no breaks and no holidays to relieve yourself was egregious for me to cope. The stressful and hectic schedule had again put me off studies again and that meant I had to make do with whatever I managed to learn during my time in the class and apply that in the entrance board exam… which wasn’t all helpful as the coaching teachers had never bothered to teach us any short cuts or techniques to ace the exams to begin with. Alas, in the end it was down to either taking private tuitions again or just being lucky that you end up with very interactive and helpful lecturers… which sadly I had neither of them at my coaching centre. And that only added more fuel to the fire later. As the date of the entrance exam closed, I became weary of studying for the entrance and once again got lost in other activities. On the day of the examination, I arrived at my centre which because of my grandfather’s house address mentioned to the board, I got it next to my coaching institute. The idea was that if we’d mentioned an address somewhere far away from our actual home, we’d get it near our own house making the commute short and less convenient. After arriving at my chosen centre, we were subjected to security scan very much like the ones seen at the airport. It was clear that these board members simply won’t tolerate any form of cheating whatsoever. After the scanning and security check was complete, I was permitted into the college premises where I headed into the room of my allocated Roll number. Once everyone had seated in their allocated seats and as the time struck 10 a.m, we were given the objective paper sheet and the question paper and had been given 3 hours to solve it. Naturally, haven’t studied properly for it, I had to guess my way through which meant that out of 120 questions, I was able to solve only 30 in the allotted 3 hours. And in the last final minutes, I dashed hurried up by randomly circling the remaining answers ASAP. Once the timer struck zero, our objective sheets were taken and all the candidates had to leave the examination hall immediately. I walked out being very nervous and anxious about my performance. However, things would only get worse as in a few days time, my high school board exam result was set to declare and that would change the course of my life. A few days later after the entrance exam, on a Friday morning, my high school board exam results were finally declared. The moment my sister stated that the results were out, my guts clenched and heart started to race when my parents found out that I didn't pass in any primary subject. It was a gut wrenching moment as we couldn't even go back to write supplementary exam for those subjects in time or even arrange for that matter. However, my dad decided to go for the Friday prayers instead and ignore my result. After the prayers, we discussed what to do next and we came to conclusion that I would be repeating high school again with my sister. After a few weeks, we went to the educational board council and through them I got the opportunity to repeat high school again in the selected college of our choice. This meant that I was repeating High school again with my sister in the same class. After my cousin’s suggestions, my parents got me and my sister in the same high school albeit we had different branches for boys and girls again. While the previous schools I had studied in had a great management and systematic approach to teaching and education, here by comparison, there was no such thing - Building infrastructure and facilities were mediocre constructed with various violations, the management was rude, not very helpful and very discriminatory against students based on their performance, no jeans or T-shirt dress code was a strict part of their policy and majority of the teaching staff was either very rude and unhelpful or simply straight up strict with teaching. There were three streams on offer - The science course offering MPC (Mathematics, Physics, Chemistry) and BiPC (Biology, Physics, Chemistry) or Commerce course offering MEC (Mathematics, Economics, Commerce). These courses were once again divided based on the “package” a student would select. There was those aforementioned individual courses and then there was one with state entrance board exam training course which saw classes and subjects rushed for the entrance board exam training. When the years’ curriculum is completed, then two months prior to the entrance board exam the training classes begin which stretch up to 5 pm. The MPC with entrance exam training course was the package selected for the both of us knowing very little how it would’ve affected us once we complete the course. To add more misery to my life, I was subjected to post college private tuitions again just because my sister couldn’t understand some of the primary subjects and that I would also had to take them as my sister couldn’t go to tuitions alone on her own. The excuse for that my parents gave me was that it would be convenient to have me by her side making her feel more secure and that I could also regain some of the lost knowledge as well. This all meant that I had virtually no time throughout the day to take any rest at all. The college timings were also very awkward. It started at 9:45 am and ended at 4:30 pm after which our private tuitions would go from 6:00 pm to 7:30 pm. Although they were relatively close to the college, our time traveling back home through the snarling traffic of the city meant we’d be at home by 8:30 pm or even by 9 pm. So for the next two years, we’d egregiously spend 12 hours of the day in just studying and traveling. The only time we’d be free was on a Fridays which saw the college end half day, on Sundays, whenever there were religious festivals holidays or whenever there were protests in the city. And even then, it was a nightmare since homeworks and monthly tests would also make it impossible for us to even study or take some time off for leisure activities but nonetheless I still managed to find some. The whole education environment in the country wasn't any better than I had to go through the international Indian education institutes in Saudi Arabia. It was an appalling misery of a business excuse to set up educational institutes for the sake of making a quick buck rather than providing a decent knowledge. In the end, to move on further, I had no other choice but to move on and accept reality. Once admitted, I was put into the lowest batch of classes. Again here as well were the students divided over their grades and performance and since the college deemed the Internationally accepted Indian Education board’s grading system as inaccurate and unrecognized, I was put among the lowest performing grade of students. There were three batches of classes the students were divided into - The lower tier batch which consisted of students just a poor performing grade where I was put into, the mid tier batch which saw average performance grade students and the upper tier students consisting of near perfect flawlessly performing students who were taught topics and subjects very very fast and were way ahead of the schedule due to their ability to understand and grasp concepts quickly. They were also less susceptible to be beaten up by teachers either unlike the mid and lower tiered students who would’ve been constantly harassed and canned to the point of bleeding or sustaining life changing injuries. As I went through the first semester with good grades, I was pushed up from the abusive class into a lesser abusive mid-tier class along with some other students. Here I would meet up with a few decent students who I would become friends with and be more openly communicative with them. However, while I was able to make friends and have conversations about my interests, most of the pupil’s lack of awareness and understanding about how cars or motorcycles worked and functioned left me with a communication barrier. Nonetheless, I was able to share my knowledge and wisdom without any hesitation. The first year of my repeat of high school was tragic. Being out the whole day in the college, day and night memorizing and wrote learning everything from the textbook and then expecting just a few questions from every chapter to appear in the exams only to feel guilty of not seeing that one question you’ve worked hard to memorized it so much is infuriating and rage inducing. But nonetheless, both me and my sister had aced the exams well enough thanks in particular to the tuition institutes that me and my sister had been attending. And with that, a year had gone by and I had to endure another year of misery. The state board exam were conducted in the months of March to May during the peak of the Indian summers which was harsh on the students with the temperatures reaching 45 C considering that our exam centers were located in an area far far away in another area and the unplanned city roads made traffic a havoc to get to the examination centre on time. After acing the exams, we decided to take a little family reunion vacation and visit our dad back in Jeddah. However, me, my brother, sister and mother were still on a visit visa to Saudi Arabia as dad had a job there and that meant that we had to return back to the country before the expiry date and renew the residency permit. This meant that we had to take anywhere between 2 weeks to a month leave from the college. While we had informed the management about it, we had to assure them that we would be in contact with our classmates and complete our notes so as to avoid any abusive punishments teachers hand out for not having our class notes complete. Before the classes would begin, we would have attendance taken by a teacher in the first period and based on the previous day’s attendance, the student would’ve been judged. This applied to all classes irrespective of the tier they were put in. Luckily, my vocal communications about my doubts and behavior with teachers meant I was mostly in the safe zone. When I returned back to Saudi Arabia in 2011 where dad was staying and working. He overhead about me and my sister’s progress was quite pleased with our performance. So much so that he had agreed on buying us the PlayStation 3 we had requested a few years ago. One early morning when me and my brother were visiting the construction site with dad, he had requested one of his co-workers to take me to an electronic bookstore by the name of Jarir Bookstore. Which sells laptops, printers, books, painting materials, school bags, video game consoles, comics etc and buy me a PlayStation 3. Once there in the store, I went straight for the highest end PlayStation 3 Slim 320 GB variant bundle along with an additional Dualshock 3 controller. The bundle came with three games namely - FIFA 11, ‘Little Big Planet’ and ‘Rachet and Clank’. Sadly, all three games weren’t really our kind of preference genres. We got home and at night, we setup the whole system and tested some games on it. While I liked the wireless connectivity of the controllers, what I didn’t enjoy was the games that came in the bundle. They were too immature for our taste and liking so I asked dad to go the store again some other day and buy the games that we want to play. Seeing that neither my brother or sister had reacted positively to the games in the bundle, my dad had agreed to buy us the games that we actually wanted. My good grades in the mid semester exams saw me get rewarded with a PlayStation 3 Slim. Knowing very little just how much of an impact this would have in my life. On the weekend, we went to a Jarir Bookstore near our home and purchased all the missed titles and the ones we looked upto for the next generation consoles - Need For Speed: Hot Pursuit, Need For Speed: Shift, Need For Speed: Shift 2 Unleashed Limited Edition, Grand Turismo 5, Final Fantasy XIII, Final Fantasy XIII-2 and Dirt Showdown and some other games that I later ended up trading. 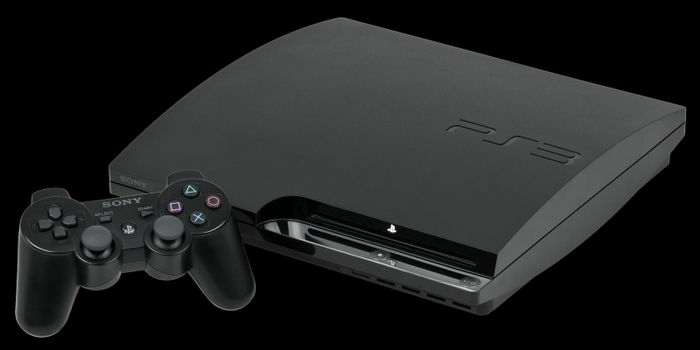 But because our PlayStation 3 game inventory was so small and dad wouldn’t allow us to take the PlayStation 3 back to India, we agreed to leave it back in our Jeddah apartment and focus on our studies in India. Then when we’d come again for a visit to Saudi Arabia, we could play for a little while. Need For Speed: Shift was my first ever race simulator video game which actually challenged me revealing just how little I knew about racing in sims. But while we were there, I had utilized my time in gathering the experience in games. Shift was an eye opener for me. Previously, I had Need For Speed: ProStreet which showcased handling in somewhat of an arcade fashion. It wasn’t highly accurate but it was it was close to being a sim. Shift took the concept of sim racing and added dramatic elements to it making the sim racing look more antagonizing and fear inducing. It had way more in-depth detail in terms of driving dynamics, physics, graphic fidelity, events, AI aggression, track layouts, circuits, feedback and damage details. Need For Speed: Shift was the first game since Need For Speed: Hot Pursuit 2 to feature an in-car first person view complete with steering wheel movement and gear change animations, working rear view mirrors, gauges, steering, track and damage feedback, windscreen mucking and cracking up all were first for a Need For Speed game and were spectacular for the time being as well. Playing Shift for the first time unveiled several of my previously gathered experience and weaknesses - corner entry and exit speed, braking points, braking pressure, throttle control, steering input, corner speeds, gearing and my ability to drive the cars on the limit were all tested to be way below what I had assumed to be even though some of them did help me out with getting the car around corners and overtaking AI, it still wasn’t enough as I had never experienced sim racing before. It had tested my driving skills at it’s limits and revealed the mountain that I had to climb.Need For Speed: Underground 2 had some amazing in-depth customization and tuning ability but I rarely took it seriously until Need For Speed: ProStreet. Even so then, the game wasn’t exactly challenging with it’s setup as anyone with average skills could beat the AI at normal or hard difficulty all while having a mediocre car setup. Next I had Need For Speed: Shift 2 Unleashed Limited Edition which featured three extra cars like the Nissan Silvia S15 Spec.R Aero, Lamborghini Murcielago LP640, Alfa Romeo Giulietta QV etc and 40 exclusive events. This game was mind bending and took Need For Speed: Shift to the next level. Some of the key changes from the first Shift title was the introduction of helmet cam and night racing with little illumination of tracks. This added a lot of drama and challenge to the racing and made driving more stressful with day and night cycle. Other things to be added to Shift 2 were Drifting which featured some of the hardest controls for drifting. Alas my time with it was very short as I couldn’t be bothered to play as the controls were too sensitive or didn’t give the right amount of feedback when playing with the Analog controller. The game also featured one of my most favorite cars making an exclusive debut - Pagani Huayra. After seeing the beauty of the Zonda, reading about the company’s history and watching some of Top Gear DVD specials, I fell in love with the Huayra as well. At first it looked odd but when looked at it closely, the proportions and styling made me fall in love with it. And the best part was that I could get to drive this car in Need For Speed: Shift 2 first. Alas, the car had to be unlocked and purchased for a 7 figure in-game price which I didn’t had the time for unfortunately during my stay. After a few hours with it, I got the hand of it. But to try and improve my experience a bit more, I had also got myself my first ever simulator setup along with those games that I thought would take the challenge to another level - a Logitech G27 simulator setup. It was a simple yet robust sim… had six buttons on the steering wheel with two paddles and twelve on the 6 speed ‘H’ pattern gear panel. Eight of them replaced the function for the Dualshock 2 controllers but they weren’t quite intuitive as the controls on it were turned sideways. Which meant that I had to use the normal controller to navigate in the menu. 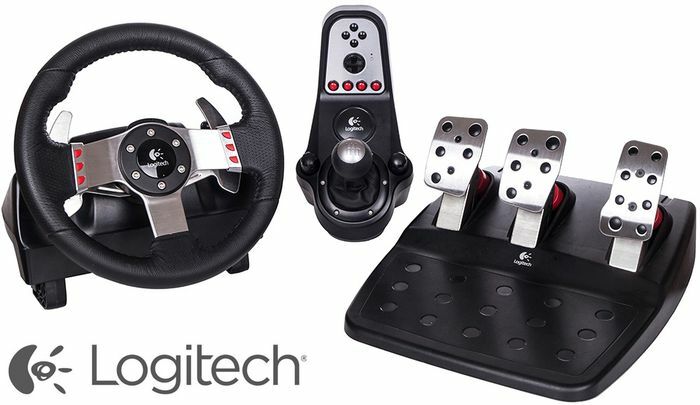 The Logitech G27 was my first and trusty simulator setup that I had bought making my serious mark about entering sim racing. The force feedback from the steering was what added more experience that I needed to understand how a car would behave on it’s limits even though I was playing it at 50% force feedback. This aided and helped me understand the areas where I needed to improve to master sim racing. I started out with throttle and steering control first, then slowly worked my way to understanding my braking points, racing line and then overtaking positioning. 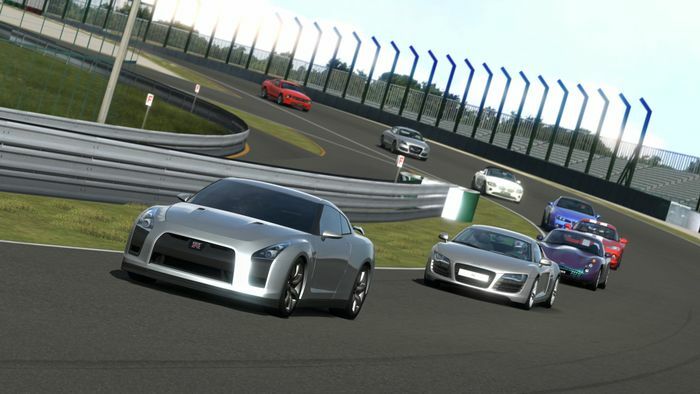 While Need For Speed: Shift and Shift 2 were great games to experience sim racing first hand, there was another game that had built legacy over the years of being a go-to sim racing - Gran Turismo series. While I never got myself the previous four editions of the game, Gran Turismo 5 was my first of the Gran Turismo legacy line up. This is where I decided on getting some training and practice on how I would fare and where I’d need to improve myself. While I couldn’t get far in it. I started with license training both with the controller and then with the G27 sim. Again, because I hadn’t developed my skills enough to understand how the much throttle, brake or steering input I needed to get the cars to behave on the corners, I was essentially a laughable matter as I was completely unable to control the car’s speed, braking, cornering or overtaking maneuvers. It was clear that I needed much more practice on the controllers first, adapt to the inputs and then slowly transition on to the simulator. The game while I had my hands on was pretty good. 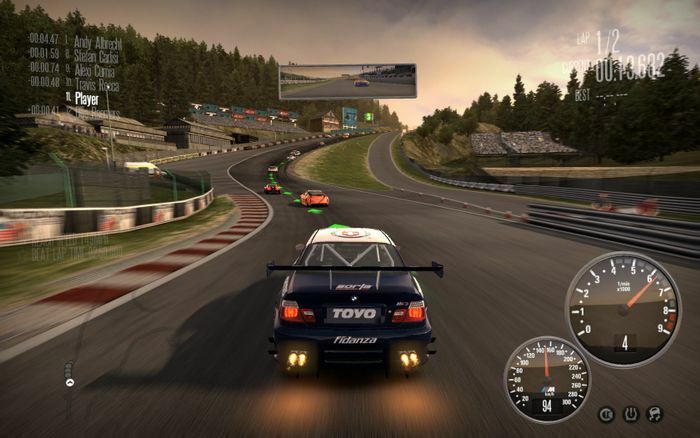 It featured well over 1088 (Downloadable DLCs added more cars later to the game), most of which were just repetition of cars like Mazda MX-5, Nissan Skyline GT-Rs, Toyota Corollas, Honda S2000s, Preludes and several Japanese city cars overlapping in different variants while several other cars in the game didn’t feature high texture finishes, interior details or dedicated sounds for that matter as they were picked up from the previous games and put into Gran Turismo 5 without updating the graphic textures being able to drive them on hundreds of race tracks from around the world like Spa-Francorchamps, Nurburgring, Silverstone, Monza, Laguna Seca, Fuji Raceway, Tsukuba circuit, Barthurst International Speedway, Willow Springs etc and many imagined up circuits from the world of Gran Turismo world with some making a comeback from the previous titles. It was also my first time trying out different disciplines of racing like GT category, WEC, Rally, Drifting, NASCAR and even Formula 1 as the game featured almost every single type of racing discipline from the real world. Every discipline had a car with a different dynamic setup and configuration confined to the race series that I had to adapt to. Unfortunately, the GT racing, WEC endurance, street GT cars were the only ones I was able to master well enough while Rally just seemed impossible for me to master with the car sliding everywhere and attempting to regain control while keeping the throttle pinned just wasn’t my cup of tea. Most of the time while I had my time with the game, I would go to the arcade selection, pick a car and race with it casually on easy or normal difficulty. As a result, I never fully got the experience of playing the game and experiencing it’s limits. So after just a few hours on the G27 realising that I need more time to master it, I picked up my Dualshock 2 controllers and continued playing Need For Speed: Shift and Gran Turismo 5 before finally switches over to the then latest launch release title of Need For Speed that was highly anticipated and was looking upto it very much - Need For Speed: Hot Pursuit 2010. Right from the very beginning, the game looked promising with the addition of several sports cars, performance cars, GT cars, supercars and hypercars to choose from and some making a consistent return to the series like Mazda with the RX-8 and Subaru with it’s then latest generation of Impreza WRX STi. This was a game I was looking up to ever since it was announced. From downloading all the official wallpapers, all the promotional videos, all the car list webpages and even the random showcase videos from their promotion tour. Back in India, I would open my laptop everyday after college checking Need For Speed’s or EA’s official YouTube channel or their website for the latest news on the game and was the first time following the game’s release closely with huge anticipation and expectations… seeing the E3 demo and the gameplay style convinced me to get the game at all cost. The Pagani Zonda Cinque and the Lamborghini Reventon Interceptor were featured on the box art cover and were the star cars of the game. Both of them looked and sounded out-of-the-world stunning and got me appreciating these cars even more. The primary reason for the hype being able to access and race the large collection of high end limited edition performance, supercars and hypercars in street races while outrunning the police who were also given similar said cars to chase the outlaw street racers. Another reason for me to buy the game was engine sounds from cars particularly the Pagani Zonda Cinque and the Lamborghini Reventon and how menacing and beautiful they looked when going sideways. Getting into the game, the biggest change that was bought into it was the brake-to-drift physics which I’ve experienced in another EA’s amazing title Burnout. 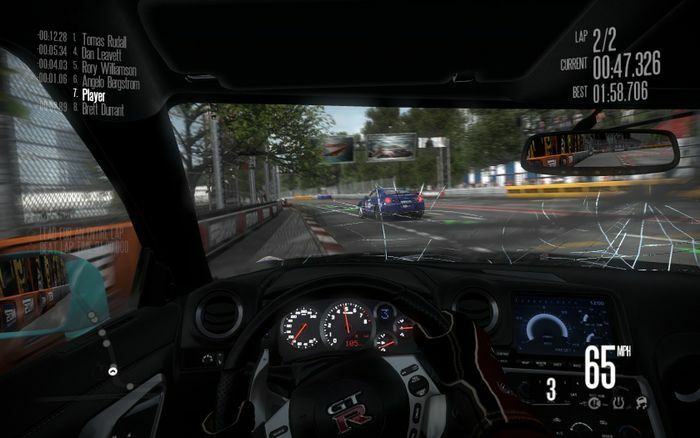 The similar driving physics was carried over into the game but instead of featuring generic imagined up cars, there were licensed cars from the almost every major and well known car manufacturer running similar driving modes that were once featured in Burnout series like Circuit, Sprint and Takedown mode, where as a cop you take down all the racers before they cross the finishing line. While the concept of Takedown was odd and out of shape in Need For Speed series, it did add a lot of exhilaration and excitement to the racing genre. Progression system in the game was also decent. As a racer, you had to drive reckless, perform takedown on other racers and cops, win races and complete challenges in a set amount of given time in time to progress and unlock cars while as a cop, you had to bust and/or stop racers from finishing the race and do the time attack challenges to progress. 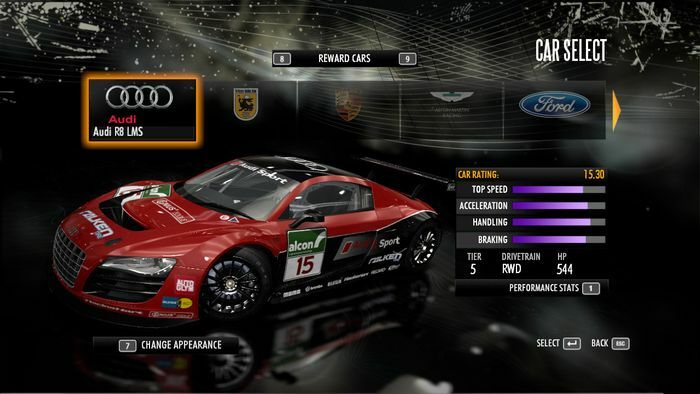 It was a simple progression system with cars unlocking based on your progression pace. 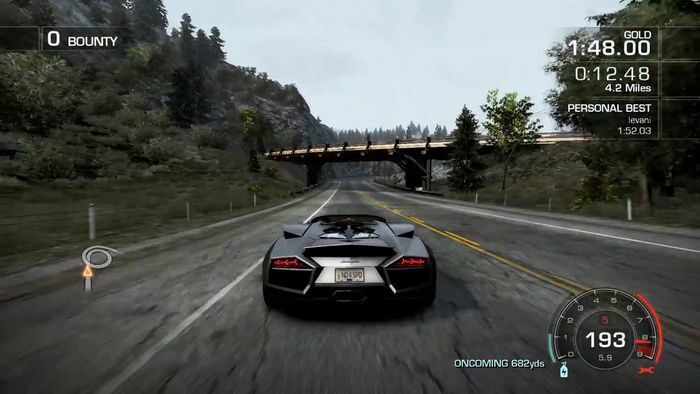 Watching the air intakes and spoiler open on the rear end and listening to the Lamborghini Reventon Roadster's virtual 6.5L V12 engine screaming as I raced it in Seacrest County was the 2nd best pleasureful experiences in the game after doing the same with the Pagani Zonda Cinque Roadster. Watching all those promotional material, I stumbled upon a short video, Pagani vs Lamborghini: Need For Speed Hot Pursuit - A promotional movie showcasing the the game’s gameplay, style and tone in the form of two hypercars: a Pagani Zonda Nonna prototype and a Lamborghini Murcielago Interceptor used in the short video. 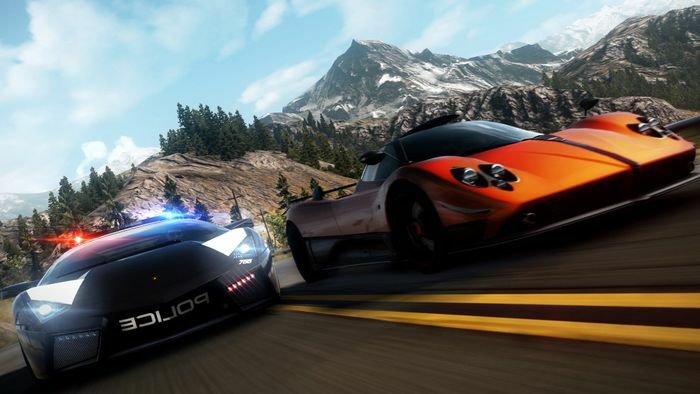 The sound of the Zonda and the Murciélago captured and interpreted in to the game making them sound as realistic as possible made the game very appealing to play. Not only that, but even the visuals and graphics for a 7th generation gaming console were realistic enough with the paint reflections, the scale of the scenery and the darkness of night lighting all making the game visually stand out. The Dolby Surround sound also did pretty good in making the cars sound like the real counterparts. Everything seemed very believable and intriguing enough to convince me into experiencing the game at all costs and had paid off just as expected. However, while going through all those videos, I came across a behind the scene footage of the short promotion film, Pagani vs Lamborghini: Need For Speed Hot Pursuit. The video talks about how the PR department contacting both car makers to provide cars for filming a promotion for the video and in the process of bringing “art to life”. Lamborghini had lent a grey Murcielago LP640 while Pagani lent a Zonda Prototype for the project. The praise the PR department did with Pagani caught my eye with what was shown. That being Mr. Horacio Pagani himself, the founder of Pagani Automobili appearing in the short video describing a bit about the car and his dedication to lend such an immensely expensive prototype for stunts and filming purpose for the video game promotion. I remember watching him and feeling excited to see a person running his own car company… and a supercar one at that. This made me excited and made me intrigued into investigating and knowing more about him. Horacio Pagani became my inspiration and a roll model making me realise that anyone with talent and creativity can create his/her own creations in his/her own vision with no barriers. 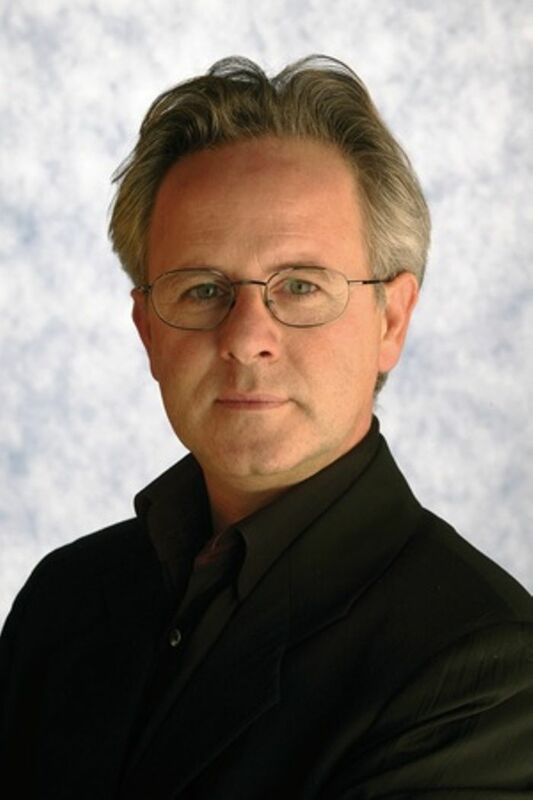 Then one day I decided to look up Horacio Pagani and his origins on the internet and how he end up building his own car company. Reading through the Wikipedia page, I realised that even though he had a rough start, he kept his motivation and passion… and thanks to the lucky partnership he had with the then retired 5 time Formula 1 World Champion Juan Manuel Fangio as his mentor, he started out working at Lamborghini as a low tiered employee then quickly became head of composite research facility for a few years, then left the company and start his own business making carbon fiber for various motorsports categories before finally establishing his dream car company with help from his mentor. 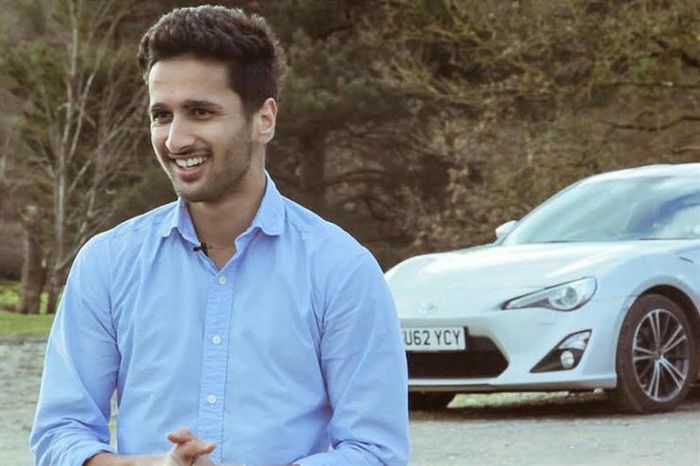 After reading through his journey to success, I realized that it is possible to set up your own automotive related business and then eventually building a financial reputation enough to start your own car company. His journey inspired me to look into other ways of earning using nothing but my own passion. My inspiration grew even further when looking at Top Gear segments whenever the Zonda made it’s appearances with the trio of Top Gear journalists praised the Zonda being an amazing car in terms of quality, performance and emotions. This lead me to further realize that the limit for creativity is the sky and that there are many ways to turn a dream into a reality. Need For Speed: Hot Pursuit 2010 wasn't just a very enjoyable game, but was also a game that had changed the course of my life, inspired me to imagine, create a vision and be an aspirant for others. Horacio Pagani's featuring in the making of the game and his consistent appraisal of his creation by critiques made me look up as one of my roll models. 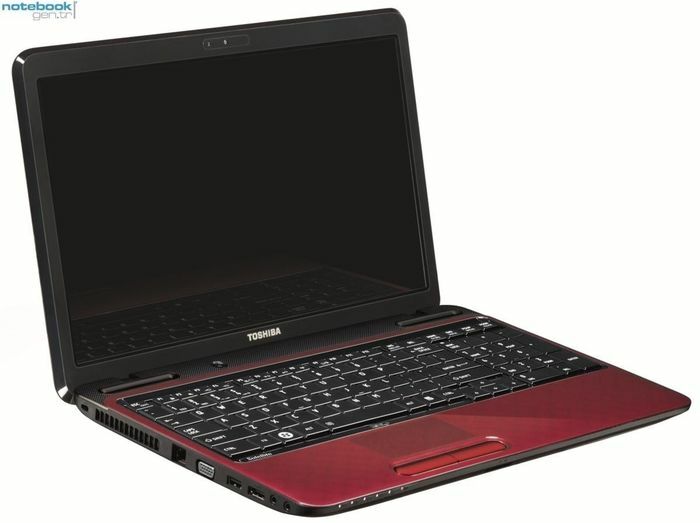 All this browsing and researching about him was also made easier around this time as I had got my hands on a brand new laptop - a Toshiba L755-S9531RD launched in the Q1 of 2011. This would also be my entry into the world of gaming hardware as the L755 variant I got had decent specs to be classified as a gaming laptop. Chief among which was the graphic card - an nVidia GeForce GT525M with 4 GB RAM memory and a second generation Intel i5 CPU which was enough to run most games of it’s time at 720p and 30 fps on high settings. It came in pre-loaded with Windows 7 Home which had no Windows Office programs that I needed for my scheduling and planning in the future but I was confident enough to install and upgrade it to Windows 7 Professional on my own afterwards. The Toshiba L755-S9531RD was equipped with an nVidia GeForce GT525M discreet graphic card and was enough to play most AAA games on it at decent resolutions for it's time. 2011 would also be the first year since my fiasco of loosing mobile phones during the rental car scam that I got a new mobile phone as well. While it wasn’t particularly great or was designed to be used the way I intended it to be, it was something to get my hands on - Nokia E7-00, a business series oriented phone designed for organization, simple operations and features. The one upside of it was that because it was a tilting phone with a complete QWERTY keyboard, it made it convenient for web browsing and surfing. A year prior t that, my sister got herself a Nokia N8. While my E7 was comparatively bland and lacked a lot of features, it was still a phone I could use for web browsing and occasionally listening to music which were my regular needs on a phone at the time. 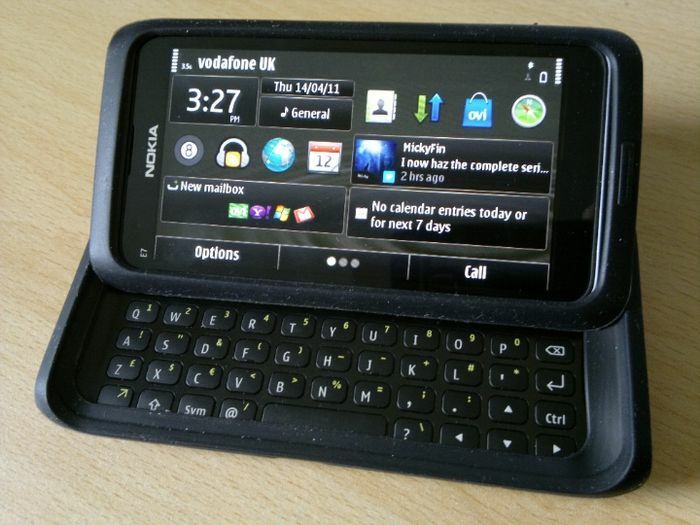 While I got the Nokia E7-00 a year after my sister getting her Nokia N8, I was a tad disappointed with it's functionality but decided to carry on with it as I was still a keen fan of Nokia phones back then. After bidding farewell to our father, leaving behind the PlayStation 3, the games and the Logitech G27 sim… me, mom, sis and bro return to India from our visa and resident permit renewal visit and went back to starting our final year of high school. This time with more gadgets and technology at my disposal, I decided to utilize them to get find more inspirations. With my old LG RD410 notebook, the internet was slow and it didn’t have enough memory on it to run multiple windows and programs at once. Besides it was about time I upgraded as it had also become quite dated and couldn’t run any newer programs of the time. 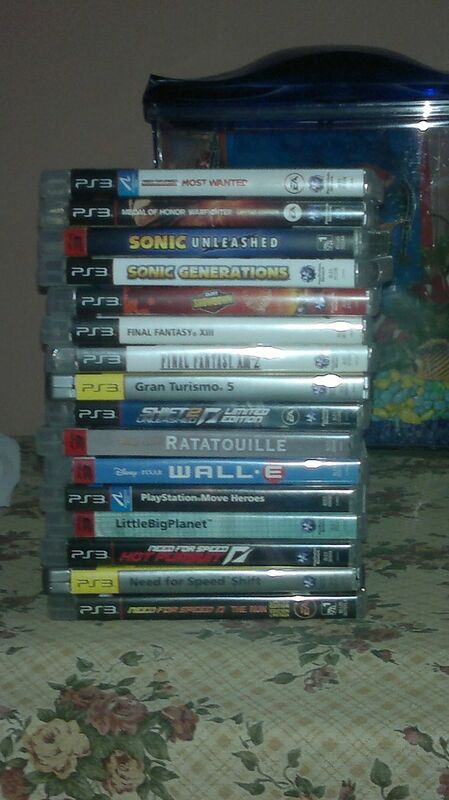 My PlayStation 3 gaming collection started out small but eventually grew over time. This picture was taken on 23/11/2012. During my second year at high school, I met a new student who got transferred to my branch and placed in to my class. I got to know him and found out that he studied at IISR (International Indian School Riyadh). I started out having a normal conversation with him and found out just how much he was cable of understanding my passion all while explaining to me the scientific theories he had accumulated over the years. Obviously, his nature was weird but his capability to understand my passion and me understanding his theories meant we became close friends very quickly. Back at home during my free time on weekends, I would browse the internet a bit looking at the next release of video games or just randomly surfing YouTube and finding something interesting. While going back and forth, I found the Koenigsegg cars were part of the game that I drove once in the game while I was there in Jeddah. I recalled just how brutal, exhilarating and fast the car felt when driving it around in the game even though it was an arcade game, the Koenigsegg’s were really really fast cars. Based on the impressions I got from within the game, I decided to look up what this car company was and dig deeper into what and how this car company came to be with such impressive performance oriented cars. While searching over the internet, I came across this video documenting the build process of a Koenigsegg Agera and the company’s founder himself, Christian Von Koenigsegg. Watching the documentary, Mr. Koenigsegg explained his passion and his journey getting to where he is explaining the trials of embarking on a journey that is unknown and filled with challenges no one would or could tell you. Koenigsegg showcased that it was possible to make a car from the ground up with little to no experience in building cars. Yet he went on to innovate some amazing creations that the world hadn’t seen or thought about them before. His passion to innovate and keep coming up with ideas and take perfection to the next level made me look him up as my roll model as well. 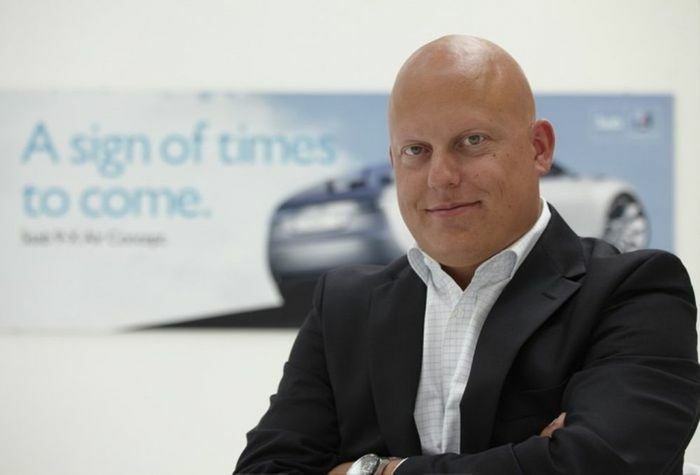 Christian Von Koenigsegg became my second inspiration after learning about his innovations, design philosophy, vision and his passion to build cars. Pagani inspired me to be creative, visualizing themes, thinking outside the box and finding various means to fund yourself to build your own car company. While Koenigsegg inspired me to come up with powertrain and technical ideas that could see a potential future use. Taking them as my inspiration and looking them up as my roll model to shape my future, I decided on innovating and coming up with ideas myself that haven’t been explored. During free periods at high school, I would draw my ideas in a spare book that I’d keep them with me at all times. I would brainstorm with my new friend and end up creating ideas that could be viable in the future. I remembered back in my old days when I used to do the same things with my LEGO cars… except now the challenge I took up was to bring them to life somehow. Every time there would be a class when a teacher wouldn’t turn up, I would pull out my book and draw my ideas on it. And thus, I continued my journey into designing cars but now taking it very seriously and coming up with innovative ideas that one day, that I could turn into reality and make a name for myself making my parents and my country proud of my achievements. Ah, yes! The big moment that would change my view of cars forever. 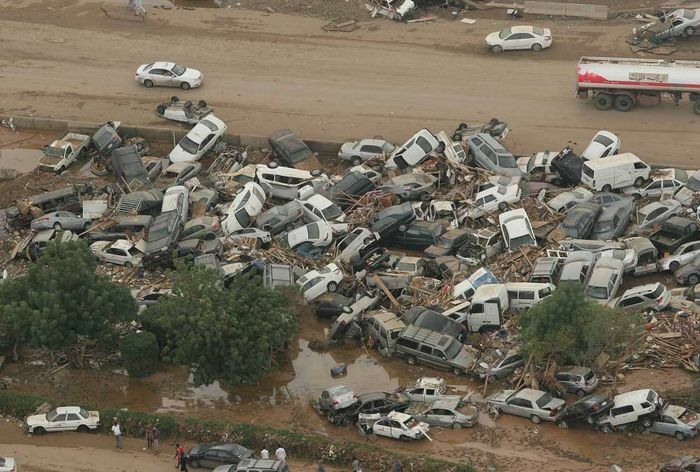 Back near the end of 2009 when I was still in Jeddah, there was a heavy storm in the city which had caused a lot of havoc, chaos and destruction across the city, flooded the streets and ripped the highways around it as well along with hundreds of lives lost. It was 25th of November when early in the morning, the day started with dark heavy black clouds gazing down on the city. And then suddenly there was a heavy down pour of rain shower that would last for 8 hours. 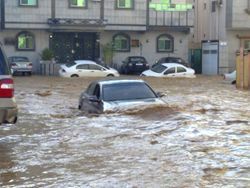 In those eight hours, the city that had already lacked a drainage system, saw it’s roads become victims to flooding and landslides with thousands of cars ruined and destroyed. With the rain belting down early in the morning, it didn’t seem like a good idea to go to school either. So instead we stayed at home while dad went had left for work. On his way back, the rain had slowed down which meant he had to fight through the flooded streets and take several diversions to get back home (the city lacked any sort of drainage system for the waters to clear off) only for him to narrate us what the tragedy he saw when he got back home. After a while, he asked me and my brother to come along so we could inspect the damage ourselves around the city. We got in to our dinky Nissan Terrano II and attempted to make our way towards the university where dad was elected by the company he was working for as the project consultant manager. 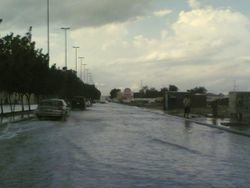 While taking the fast route to it, we encountered a lot of streets where some trees had fallen while in other parts of the city, the streets were flooded… eventually encountered one of many deeply flooded streets where the water had submerged the entire roads, footpaths and even bushes on the middle intersection. We halted before it looking across the muddy flooded streets seeing how far deep the waters were. Dad had decided to turn around and head the other way but I had insisted that we go through the waters as we were in a 4x4 wagon and that it wouldn’t be much of a problem for us to go through it. Eventually, dad agreed to my cry and we turned around again facing the sunken streets and went for it. As we drove forward, the water started rising and had eventually reached the side window line, while the water swashed over on to the windscreen and on the roof as we puddled through the muddy flooded streets. 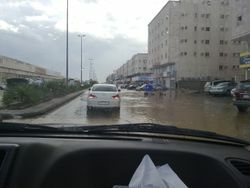 This was because the road was on an incline in the road and the water was gushing down from the elevated highway just adjacent to the street we were plowing through. As we marched through the muddy waters, we saw car showrooms absolutely washed out with muddy waters from the highway pouring through them. 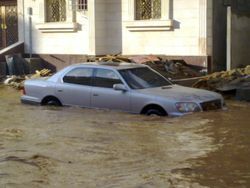 There were some used luxury car dealers where we saw the cars getting absolutely hammered by the rapid flow of water gushing into the showrooms and gushing out of the road facing entrance creating a fast rift as the road began to decline more and swooping into a residential area. As we marched further, the stream started to become violent with the waters gushing on to the streets reaching peak velocity. At this point, my brother sitting in the backseat, started to cry out of fear while I was rather enjoying myself riding shotgun as dad maintained the revs of the engine in our Terrano II. 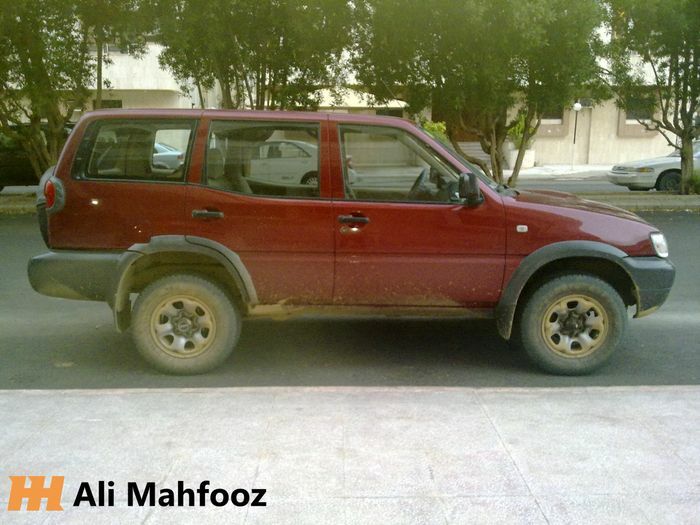 But eventually, the force of the stream started to overcome the weight of our Terrano II and had started to slosh the car. At this point, my brother started to panic, so dad decided to go with the flow of the stream and pull into a residential area where the water was gushing gown towards. We drove on for a while before eventually we had to pull over as the stream was turning very violent ahead. There were a few people shouting at us not to proceed forward and told us to pull over which we had no choice but to heed their word and evacuate and leave our Terrano II on the side of the road. We stood stranded along with the rest of the people at the platform while my brother raged on me while crying waiting for the waters to calm down. Honestly, I kinda took the responsibility for dragging into this mess to begin with. But it was a nice little adventure that we had embarked on. 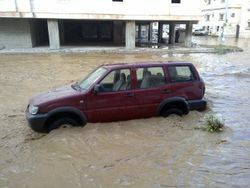 After about 3 or 4 hours, the waters had calmed down enough, so we and the locals tried to fire up our Terrano II. And on the first crank, the KA24DE coughed back into life… running rough as the muddy waters had made it’s way into the exhaust, but after about 30 or so minutes, the engine idled slightly well. So we decided that the vehicle was in good condition to get us going. So we jumped back in, bid farewell to the locals and head on our way back home where we had encountered the destruction caused by the floods on the highways - the concrete barriers were washed away, the roads and trees were torn apart, street lamp posts were unlit and there was mud and dirt everywhere. We slowly made our way through the chaos and traffics and eventually came back home tired. 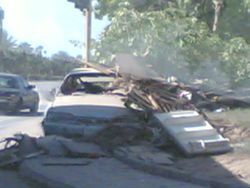 The scale of disaster was so huge that over 5000 cars were written off that day, hundreds died and thousands became homeless. We had set out to see the Medical university where dad was working to see and inspect the damage the flooding had caused to the on going construction of structures, buildings, classrooms, laboratories and the whole campus. Unfortunately, the one big stream of muddy mucky dirt water had halted our progress towards the university and we had to bail out and ultimately take shelter at someone’s residence complex’s footsteps. 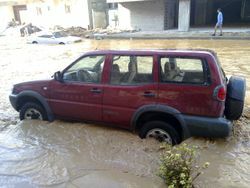 Drainage system is non-existant in the country. 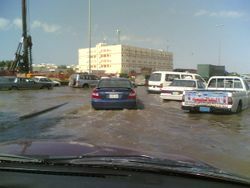 As a result, flash floods submerge half the city and create a lot of traffic jams and inconvenience to daily commute life. The whole adventure was... at least for me a blast and memorable even though several people had lost their lives on that day and later, the day was seen as the 'Black Wednesday'. And it's not always you see someone put their SUVs through their paces even though in Saudi Arabia, people love to explore the limits of their SUVs on sands and in deep water once a while, it was a memorable experience. In October of 2009, I turned 17. So at that age, I was at the legal age to apply for a lerner’s permit. With the help of my uncle, I was able to get myself a learner’s permit from the Regional Transport Office (RTO). This was valid for about when I would turn 18 to be eligible to apply for a full driver’s license. Even though I easily got myself a driver’s permit, we didn’t owned any vehicle of any sort at this stage. But my uncle told me to keep it for convenience sake purposes. Around at the same time, I also got my rider’s helmet as well from a grocery shopping mall. It was made of plastic and insulated with foam on the inside and was ISI Indian standard approved helmet meaning that it had passed shearing and impact tests by Indian Standards… which were relatively low compared to international safety standards. A year later in October of 2010, I would turn 18 years old which meant I legally classify to apply for driving license both in my country and in Saudi Arabia. As I was visiting the city again for my residence permit renewal, I was administered by dad a day before my birthday to take the driving license test. I was among many individuals along with the young immigrants who had applied for the driving test at the same time. There were people younger than me and there were people older than me… all lined up for the initial admission test. Dad had me administered for the driving test which required three passport size photos of me, my residence permit card and a health certificate. Unfortunately at the time, dad had one less photo of me. But the management at the booth had permitted my admission and told him to get it at the earliest. 'Al-Dallah Driving School' was a closed compounded school complete with a driving course with all sorts of road signs and classrooms for theories. The way the driving system worked in Saudi Arabia at my time was that the classes were divided into 3 tiers based on the accuracy and errors made during initial admission test; 3 day training, 1 week training and 1 month training. During the initial test, a candidate would have to showcase his knowledge and awareness on driving around a training block in a mid-range spec 2009 manual transmission Toyota Camry. The instructor would judge your abilities and skills from the passenger seat and would tell you to navigate around the block and would be on the watch out for your errors. The test itself was relatively easy - start out from the parking bay and take a left, go straight slow down at a junction for a left then drive straight a bit and stop at the stop sign, take a left again and drive back the straight again, then take a left on to the starting point where you have to parallel park the car to finish the test. Simple enough. Navigate the course without any errors and you’d have to take the 3 day class. Navigate the course with too many errors and you’d be in a month’s training class. On the initial class tier assignment day, we arrived at the driving school and went straight into the new administered candidate line. There we queued outside the block where the car was stationed waiting for our turn to demonstrate the instructor our initial impressions of our driving. One by one, the candidates entered the car and demonstrated their abilities by driving the car around the block. Initially it was soon my turn. Before me, there was a what I believed to be a Pakistani/Indian origin guy that was appearing for the very first time to drive a car. As we waited for the car to return, he was describing how hard it would be to drive a manual transmission car. Naturally, I figured that his chances of passing might be much lower than me. Once, the guy before us had finished his test, he came around and parked it perfectly in the parking bay, exited the Camry. And then it was his Indian/Pakistani guy’s turn first. He hoped into the driver seat, put on his seat belt and awaited for the instructions while I sat in the back seat with him. Unfortunately, he literally knew nothing about driving a manual transmission car. He would put the car into gear without releasing the handbrake and would drop the clutch which would cause the car to stall. He did that two times before confessing to the instructor that he doesn’t know how to operate a manual transmission car. So he was given a fail by the instructor and had assigned him to the 1 month training classes. Next and lastly, it was my turn to demonstrate the instructor by driving around the block. After he got out and left, I was next to be seated in the driver’s seat. After putting on my seat belt and adjusting the mirrors, he gave me the signal to take the car around the training block. The car was still running, I started with indicating out of the parking bay, gently by taking my foot off the clutch gradually without any hick ups… took the first turn, drove straight down, indicated for the next left turn as per the instructors direction and took the turn again. Everything went well until here. Then just before the final back straight to the starting point, there was a ‘Stop’ sign where I had to stop, take the turn and proceed back to the parking bay after the turn. Unfortunately, as I approached the ‘Stop’ sign to halt and turn to the left again going for the returning part of the test, I made a tiny novice error that decided my fate (not that it mattered too much). As I gradually slowed down for the ‘Stop’ sign, I forgot to press in the clutch. The car jerked, came to a halt with the engine turning off. It was a big embarrassing moment for me having been learning how to drive for the past 3 years. I put the car back into neutral, turned off the A/C, crank it back up, slot in to 1st gear, slowly depressing the clutch while giving the engines some revs. It obviously didn’t give a good impression on the instructor either as I was making myself look like a complete novice. As I turned left depressing the clutch with a bit too many revs going on the back straight to the starting point, I had demonstrated a disastrous start to him which already had a negative as I drove down the back straight, took the left turn, pulled into the parking bay and parked perfectly in the box. The instructor said that I did okay but clearly, I need more training and had assigned me to a week’s training class. He then handed me over the admission papers and I left outside and showed them to dad where he said I did well enough and that it would be better for myself to learn more about driving. And that I would have to show those papers to the authorities to grant me a card for my tier classes which we ended up doing for the admission. I honestly could've gotten into the 3 day class by simply not making that one mistake but I guess it was for my own good. After the test, dad said that I did well and that I needed a bit more training to get to better. One of the easiest yet challenging part of the test was to do parallel parking. A simple yet intuitive concept many goof up on. Luckily I was able to ace the test on my first attempt. The next day, my dad dropped me at the institute and I was instructed by the staff to go into the week class training area. Yes, every class tier had it’s own driving arena where people would be given classes on how to drive a car and understand the rules of the road. Once, inside, I went inside with my card and our instructor for our batch navigated us to gather inside the small ventilated glass huts where we handed him over our school ID cards for attendance. There were various people belonging to various nationalities and age taking their driving test with me. Once we all gave our names and the instructor made his list for our attendance. Once completed, he gave us instructions on how everyday schedule will work. Unfortunately, the instructor was a local Arabic speaking native and my Arabic at the time was still rather weak. As a result there was little I could interpret from his speech and gestures and had to make do the best of it to pass the training. The first test was a relatively simple one - drive the car straight into an ‘X’ shaped parking bay and perform a perfect three point turn maneuver by driving into each one of the bays made in a footpath and drive straight out of it. Easy enough as I saw it. For the first run, the instructor would demonstrate, teaching us on how to navigate each course all while teaching us on how to control the clutch in every situation. Yes, all the Camrys at the driving school had manual transmission only and the only way to pass the driving test was through mastering the basics of driving a manual. After the instructor had demonstrated how to navigate the course, it was our turn. One by one we all had a go at the three point turn maneuver. Some of them did well while others had difficulty. Eventually, it was my turn and I had a go at it. I drove the car into one of the bays, stopped, then reversed and turned right while riding the clutch carefully, then drive straight into the bay in front, reversed right back into the bay I first drove straight into with the car facing outwards and drove out of it… and I passed on my first go! I was very pleased with myself that I made it on my first attempt. We had to execute the test at least two times to be sure we knew were doing it right. The second time as well, I managed to ace it without any hick ups. The second test was also relatively very easy - drive into a ‘stop’ sign junction, give an indicator turning right, take the turn and pull away without any hick ups. This was what the instructors were using as a pre-admission testing ground for new candidates. Once again I aced it as well. So did many others along with me. Once we finished these tests, it was evening and the driving classes were suspended for the break. After the break, we had to attend the theory classes where we were given study material which luckily was in both English and Arabic containing all the road signs, road markings and crossings. The classroom was a very large stepped platform with seats and a large screen facing the platform. In our introductory class, we were taught about the driving lanes and lane merging, signal lights, road signs and driver safety precautions. These classes went from evening till night… so from 2 pm to 6 pm and in that 4 hours, the first 2 hours were spent on actually driving the car while after an hour break, we had an hour of theory classes. After the classes ended, dad came around the entrance of the driving school from work waiting to pick me up. On the way back I explained how the how system was structured here and what all we were taught that day. 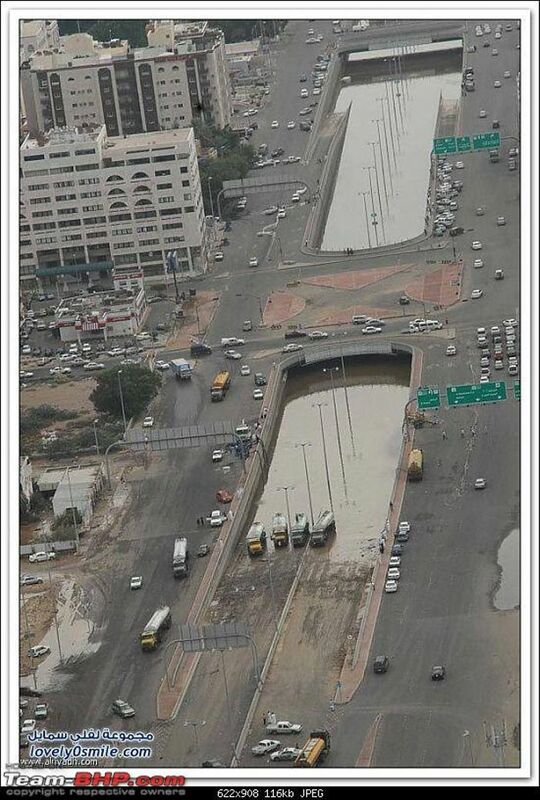 While the roads of Jeddah are well laid out and organised, they isn't any proper driving mannerism or law abidement. 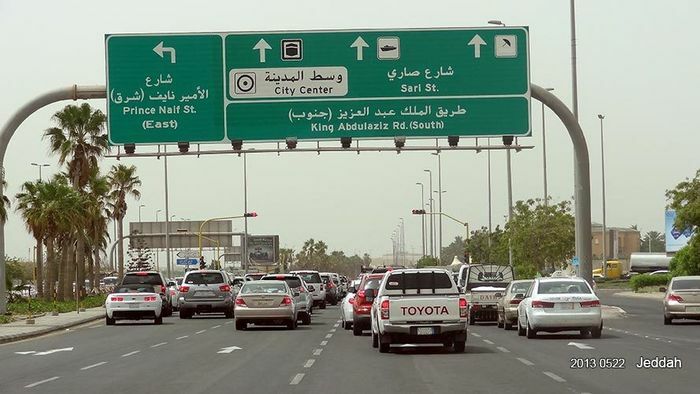 As compared to driving schools of other countries, Saudi Arabia's driving standards were quite low. They never taught us about spacing when changing lanes, what speed to maintain in what lane, what the components of the car are, checking the brake fluid, checking the engine oil, how to change a flat tire, how a car works in general etc were never taught to us in school. Because there were over 20 or more candidates in every batch and because there weren’t many driving schools in the city, it made it difficult to get good training to begin with and the money invested in relatively expensive cars didn’t help either. Still, the road laws were strict and well governed which meant punishments were also rather harsh as well. Everyday, we’d have two tests as everyone would have a go which would take between 5 to 10 minutes to complete a given task. As I waited in line for other candidates to complete their turn, I interacted with a few Pakistanis (as India’s and Pakistan’s mother tongue is similar sounding) in my batch taking the test along with me. They were quite friendly and very interactive with me so I decided to pass my time with them talking about various stuff. The second day training involved driving around two roundabouts or a ‘figure of 8’ track… again another very easy test but involved patience and driving at somewhat fast paced as we had to drive around at 40 km/h maintaining that speed while completing the ‘figure of 8’ track. The challenge was to turn the steering wheel the other way without abrupt movement, jerking the car or it’s occupants. When it was my turn, I managed to ace the test on my first attempt and so did I on the second attempt as well. Then after lunch break, it was the theory classes where we had to sit and watch the same video we had seen on the first day while the instructor stayed put at his desk. There were other tests that happened in forthcoming that I don’t recall but the one that I found particularly useful was the hill start test. The car would be stopped on an inclined hill. We had to put the car in neutral, apply the handbrake, put the car in first gear, give it some revs until the car begins to squat. Then release the handbrake and the clutch slowly as you pull away on the hill. This was a more challenging test which required good clutch riding skills. Unfortunately for me, I failed this test the first time. I wasn’t able to ride the clutch enough while releasing the handbrake which caused the car to stall at the hill. The instructor gave me my first fail of the many tests. Nonetheless, I got it somewhat right the second time but I ended up giving too many revs which caused the wheels to spin up when starting out. And even though the instructor considered this as a pass, the instructor wanted me to try this test again the next day. After the break, it was the same old dreary classrooms we had to attend where they taught they shown us the exact same replay of the instructions video they did on the first day. On the last day, I was told to run the previous day’s ‘hill start’ test again before I would proceed on to my last tests. After this was over, we were given a week’s time to prepare ourselves for the driving exam where a traffic police officer would join us in the car sitting in the passenger seat with us and judging our driving abilities and techniques. On the morning of the examination, dad bought me around the driving school to drop me, there were already hundreds of other candidates that had also turned up for the test all belonging to various batches. Some were from the 3 day classes, some were from a week’s classes and others were from month’s classes… we all had the test the same day. As a result, it was super crowded and very a tedious day. We were all told to gather up in a hut where all the candidates names were bought up an employee of the management staff mentioned on his list, were called out and were being sent to a selected course where an officer in the car would be judging the candidate’s driving discipline. As I waited in the hut with everyone, one by one, I watched everyone’s names were being called out and were being sent to the designated car where an officer in the car awaited for their examination. But alas, everyone’s name was called out except for mine. As I sat there awkwardly, I wonder why my name was never called. I then walked up to the person calling out everyone’s name and asked him if my name was on the list. He asked me if there I had an exam on that day to which I confirmed that I am to give an exam on that day. Immediately, he pointed out that if I hadn’t submitted a passport sized photograph of myself, then it’s likely a reason that my name didn’t appear in the list as my form was kept under waiting list instead. I called dad who was waiting outside and informed about the situation to which he immediately went inside the admission booth and submitted my photo to the officials asap. After a little while, my dad called me to inform that he had submitted my photograph and I should be getting my turn to give the test in just a little while. After quite a bit of waiting, it was already past noon which meant it was almost time for lunch break. But eventually, the authorities had my form submitted and my name was finally called. I was instructed to be seated in one of the Camrys. I hopped in the back seat with the rest of the candidates. Judging by the overalls every candidate was wearing, they were all trying to set a good impression by wearing the thawb (an ankle-length Arab garment) for better disciplinary judgement while I turned up in a yellow t-shirt, jeans and sandals. I was a bit embarrassed by the dressing everyone had done but then their dress wasn’t really part of my culture or interest. The officer was more keen on how we would be driving and performing. He would ask the candidates a random test to execute and we would have to perform every maneuver very well without any jerks or hick ups. The candidate before me did a three point turn successfully and was given a pass and pulled the car on to the ‘figure of 8 track’. Then it was my turn. I switched from the back seat to the driver’s seat, strapping myself in with the seat belt awaiting and was about to impress the traffic officer with my driving techniques. After checking my papers, he instructed me drive the ‘figure of 8’. But as it was just past noon, it was almost time for the afternoon prayers and lunch break. Which meant everyone would adamantly be leaving for it pretty soon. 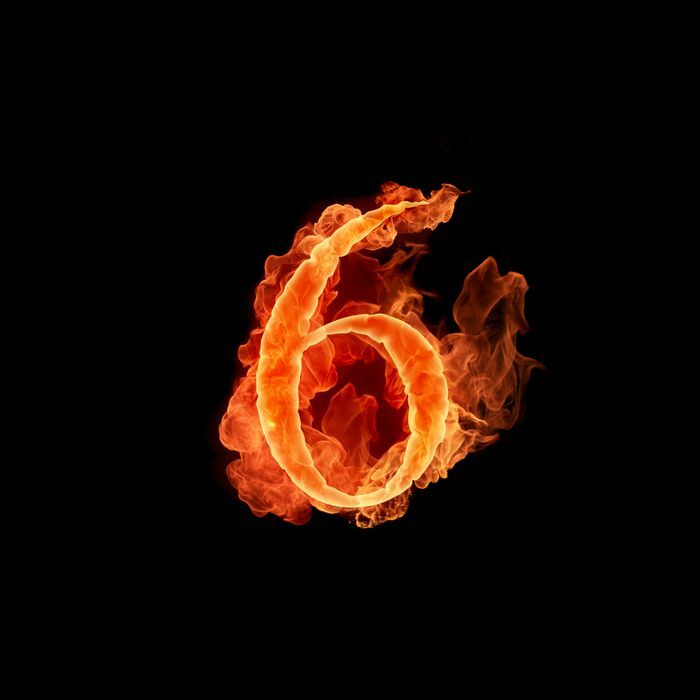 As I drove half way around the ‘figure of 8’, the officer instructed me to stop and said that I did well on my test! I was a bit confused to learn that aced the exam without proving much! But I still had the theory test to give. As I left the car and was instructed to go into the computer room for the theory exam, there was already an officer on one of the computers there giving the exam for me and ticking the right answers that he knew! After finishing the exam, “I” managed to pass the theory exam as well with little errors… mostly from the officer who was giving the exam for me and was instructed by him to leave the facility and come back after a few to collect my driving license! And that was that… after exiting the driving school, I narrated the entire scenario to my dad of what ordeal I’ve been through. He found it all hilarious that I managed to get my driver’s license with so little effort. After a few days, dad and I went to the driving school to get my driver’s license. After entering and sorting the admission facility, we found my driving license on display waiting to be picked. After informing the staff with my documents, I finally got my driver’s license and I was legal to drive anywhere in Saudi Arabia! I never thought that it would be this easy for me to get my driver's license just because of this one mistake that my father made during admission even though I had thoroughly prepared for it. The little effort that I had to put into obtaining the driver's license during the demonstration and theory exam was a walk in the park that I could be proud of myself. My mother was also very proud of my achievement as she found herself with hassle and inconvenience reduced as she no longer had to rely on my father to take her out for small errands. 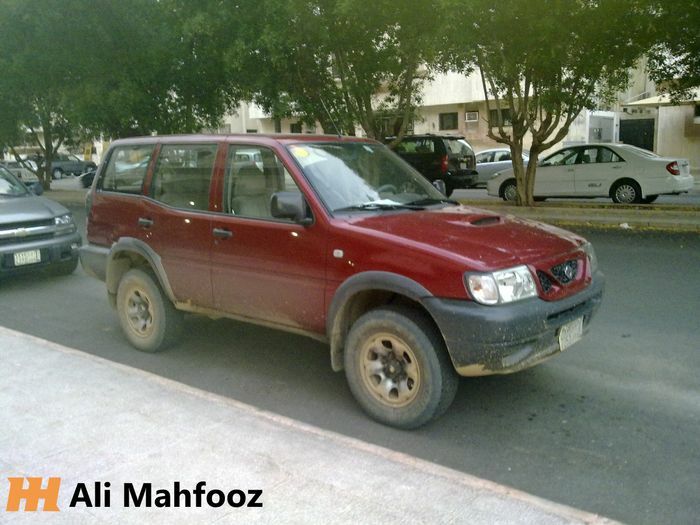 The following year in 2011, when I would visit Saudi Arabia again, I would drive my Terrano II from home to his office wherever he gives me a chance. With my new Saudi Arabia’s driving license, this meant that I could use it to get past all tests to get my license in India as the value of driving license from middle eastern countries was given a higher preference… or so I thought. And so, after our residence permit renewal was finished, me, mom, brother and sister bid our father good bye and head back to Hyderabad to continue our studies. In August of 2011, dad visited again from Saudi Arabia for a vacation leave. This time he made the decision to buy a car and a scooter for commuting in the city limits. And so, me, mom and dad went out in a rented Chevrolet Tavera, a ladder on frame SUV build for the Indian market that had no safety standards or reliability. Nevertheless, we used it for a few weeks going out for car shopping. Because we were new settling in our country, we knew very little about what car was the best to own in the country. We consulted with some of our dad’s close friends and they suggested to get either a Honda, Hyundai or a Suzuki. As we mostly needed a car mainly for city use only and mainly to carry 5 people about, we looked the smaller car segment under Rs 1,000,000 (Equates to about $16,000 as of 2011). There were many on offer like from Suzuki there was Swift, Ritz, Alto and Ciaz, from Honda there was City, Brio and Jazz and from Hyundai we had the i10, i20 and Verna (Also sold as Accent in other countries). All of these were acceptable choices for my parents. One of dad's known friend ran a car rental fleet business with the Tavera being a popular choice for Indian families to rent out for family occasions as it was offered up to an 8 seater variant for such purposes. A year prior to that, dad had asked me to roam the city and look for an affordable car. With the help of my new friends I made at M.S Junior College, we set about roaming the city looking, gathering data to buy our first car. I initially started off with Nissan as we owned a Nissan in Saudi Arabia, so I head over to a Nissan showroom to gather data for some cars. They had Micra, Sunny and the Teana to offer. Naturally, knowing dad wouldn’t want to spend as much money I was looking at the city hatches - the Micra. After gathering all the details about it, I next went to Volkswagen. 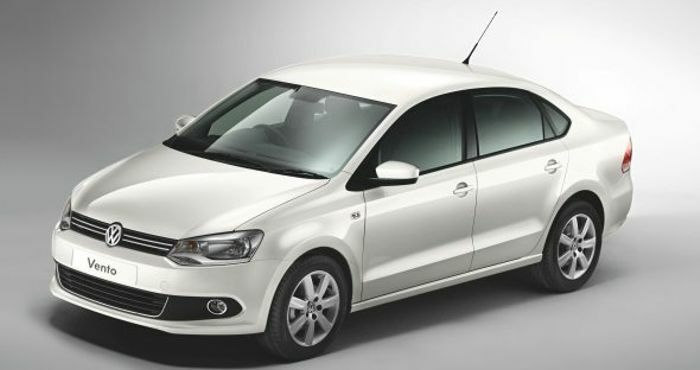 At the time they had rather subtle choices to pick from like Polo, Vento (Polo sedan), Jetta and Passat. Among these cars, I looked at the range topping VW Vento as it had additional legroom in the back for me, my brother and sister and decent enough room in the boot for our weekend trips. And the best part was it was also available in automatic as I figured that the traffic in Hyderabad would be worse than what it was in Jeddah and that it wouldn’t make sense to buy a manual transmission car. And it was under our budget to buy such a car as well and perfect for our family. I gathered all the information and presented to my parents suggesting that the Volkswagen Vento would be the ideal choice of car for our family as it was a German car with no great reliability issues, great service and low maintenance running costs. However, I had to get back to my studies real soon and that meant that I didn’t get a chance to visit any car showrooms again. The range topping VW Vento came with an automatic transmission, electric mirrors, beige interior and 16 inch alloy wheels. All that was just under $12,000. Then coming back to 2011, after referring to my advises, dad had enlisted just the Suzuki brand on his list of cars to buy from. And even that was because of one of his close friends that had given him the advice to buy Suzuki as they have the best services and reliability record in the country. 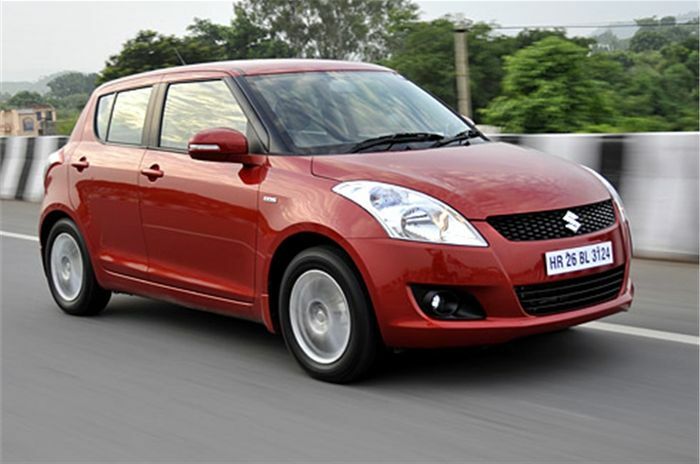 And going with his advise, he decided to go for the ZC72S/ZC82S Suzuki Swift, the then face uplifted model that was recently launched at the time of our purchase… and in a diesel variant as it would be cheaper to run as diesel fuel was relatively cheaper compared to petrol at the time. Me, mom and dad then went to the nearest Suzuki dealer which was just a 10 minute drive away from our house to check in on the Swift. At the dealer, we asked them about the Swift and the options the variants had offered. The top range ZDi had climate control, ABS, SRS airbags, electric door mirrors, central locking, factory installed stereo and 16 inch alloy wheels. All this cost about $13,000 which was affordable value proposition by our standards as well. But dad wanted to go with the mid range variant, the VDi. This didn’t had the luxuries or any safety features of the ‘Z’ variant but it did have central locking and electric windows and costed around $10,000 at the time. When I asked why was finalizing on the mid-range variant, he stated that people walking past would take a cricket bat and hit the front bumper and cause the airbags to deploy and it cause the car to be written off or the climate control would blast cold air only at full blast and that it cannot be controlled… which was the single most absurdly mind-boggling logic I had ever heard of!! Sacrificing safety because of inconvenience of others that never ever commit was the most absurdly stupidly illogical decision to avoid a model with safety features in the name of saving money. The Suzuki Swift VDi in red was the car my dad was settling for and was somewhat comfortable with his choice as well as it was the country's best selling car since 2001.. Unfortunately, while we did come close with purchasing the VDi model, the people at the dealer asked us for the colour we’d wanted our Swift in to which dad replied ‘red’. Then they asked us for a second colour to which dad denied any interest in any other colour as he only wanted in red only. The reason they asked for a second colour option is because red was a very popular choice of colour and wasn’t available readily so they asked us for a car in a colour other than red. What’s more, we “needed” a car desperately at the time so we could make our errands more convenient. Ultimately, after much requesting, they stated that even if we did get in red colour, we’d have to wait for about a year or more but we needed the car ASAP as we had just settled in and we needed a car to get around about. Realizing that we can’t wait that long for our car to arrive, dad begun looking for other available options - there was the Swift ZDi in white that could be delivered in week’s time but dad refused as he didn’t like white coloured cars. 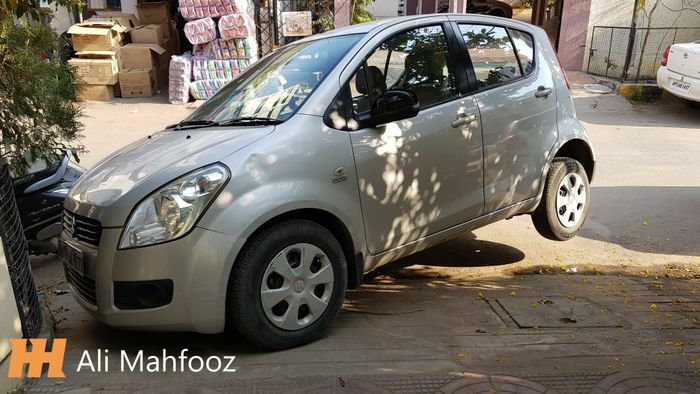 The other option was 2009 Ritz, a city hatchback sold with bare minimum equipment and was available in a week’s time and available in white, black or silver. It was becoming apparent that all interesting colours just weren’t readily available either because of excessive or lack of customer demand. 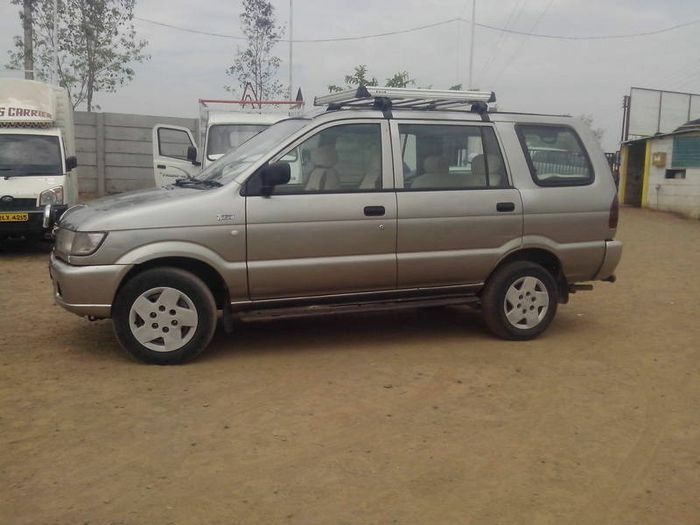 Realizing that we badly needed a car ASAP, dad ultimately gave up picking a cars and colours and settled on a silver Ritz VDi and wrote a check out and made the final purchase. Yep. In the midst of rushing to attending our errands with convenience, dad had quickly sorted on buying the 2009 Suzuki Ritz VDi in silver as it was available at the dealer in a week's time... and his awkward parking in front of our gate. Again, just like any ‘V’ model in Maruti-Suzuki line-up, the Ritz VDi that we bought had no safety features, no alloy wheels, no rear window wiper, no security central door locking key or even a decent boot. It had 4 seats, a cup holder, a detachable aftermarket Kenwood digital media stereo system, electric windows and central door and window locks for driver… and that’s about it. As I mentioned it being sold with bare minimum equipment, it really had just the basic functions and not much else. Then there was the engine, a JTD series 1.3L 4 cylinder diesel engine from Fiat’s multijet line-up hooked upto a 5 speed manual transmission that made just 75 bhp and 190 Nm. It was the least powerful car we’ve ever owned and even by the time period standards, one of the most basics despite how much dad had worked up. But ultimately, we had no other choice and we needed a car ASAP. 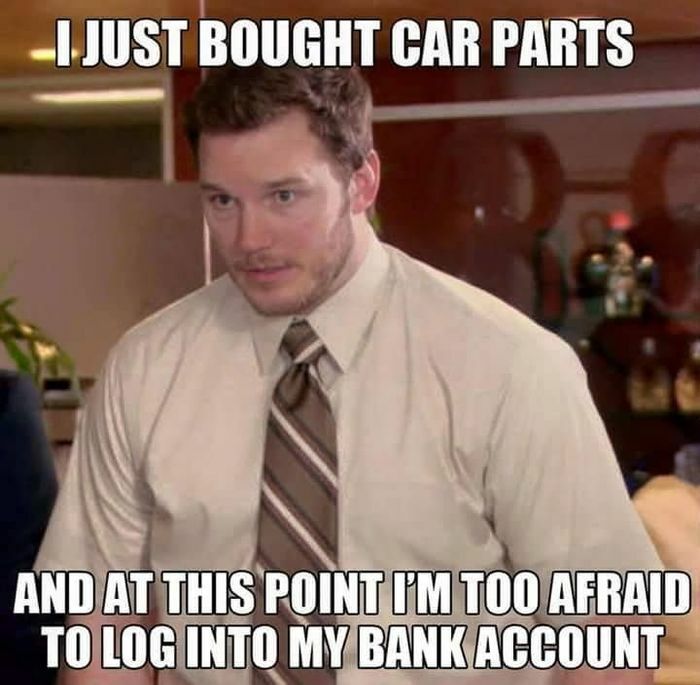 Unfortunately, at the time of the purchase, I still didn’t get my driver’s license which meant that I couldn’t drive it yet so I was told to wait out until I get my driver’s license by next year. Around the same time as of the purchasing of the Ritz, dad also bought a 2 wheeler. With these, there was just two choices to choose from - gear-less scooters or a multi-geared hand operated clutch motorcycles. Because dad had never ridden a hand operated clutch motorcycle and neither had I, the choice was obvious and he settled with a gear-less scooter option. The decision to buy a scooter is because of the logical financial and geological decisions - fuel was relatively expensive compared to what our income was, roads weren’t big enough for cars everywhere in the city, parking was non-existent in many parts of the city and the lack of organisation of roads meant that any driving a car was a tedious and a hectic task. 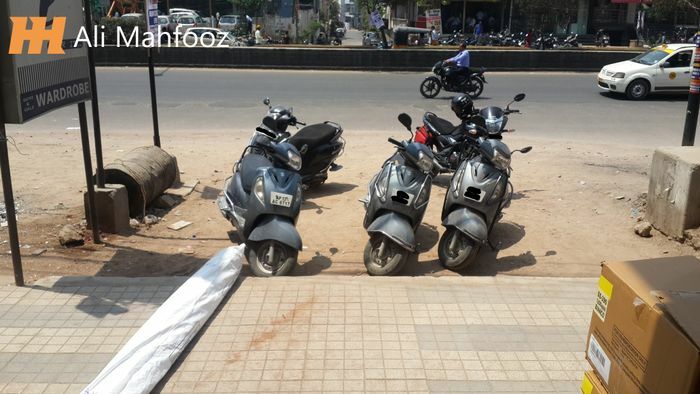 At first, he had decided on buying the most mainstream best selling scooter in the country that grandfather owned - The Honda Activa, a 100cc scooter priced around $1000 in 2011. While this was a great choice as the service was also impressive and was relatively low, dad decided on looking for more options regardless. Later, he found that Suzuki with their two wheeler division had slightly better options to offer like the Access 125. At the time of the launch, it was slightly cheaper than the Activa but offered an additional displacement of 25cc over the Honda counterpart. It seemed like a very good deal then and had decided to invest in it as the showroom itself had the service station build in it as well making it even more convenient. Making our life even more convenient, these showrooms were just adjacent to the main road our house was as it meant that I could ride the scooter to the service center and come back home on foot with no inconvenience. The blueish grey Suzuki Access 125 on the left is what dad bought for me for my commute to college. Naturally, since the Access 125 was a cheaper option with a bigger engine, dad decided to go with it. This time, the hassle was less as the scooters were all available in a month’s time. Ultimately, dad settled on the red one and paid the full price up front. A week into the month of September, our Ritz arrived and got delivered at our doorstep. We were pleased with the delivery service and with any of these city car purchases, we got some souvenirs like a box of biscuits, an air purifier and some essentials like a spare set of halogen lamps and a first aid kit. But as dad didn’t know how to drive in a Right Hand Drive traffic, he hired a late 70s retired public city bus driver to chauffeur us around the city and for me and my sister to be taken up and dropped at private tutions. Then towards the end of the month, dad got the call to pick up the scooter from the showroom. However, there was again no red as the stock didn’t arrive in red at all and was forced to settle with a grey-ish blue coloured Access 125. As we desperately needed a personal mode of transportation to get about, the limited colour options available to choose from was the last thing we could do and had to make do with what was available at these showrooms. Not only was the showroom experience mediocre for both the vehicles that we bought, but the delays and unavailability of our preferred choice of colours and variants to choose from had impacted the experience. In 2012, me and sister were set to appear in our final board exam in March/April. After taking private tuition all throughout two years after high school hours in what felt like the biggest misery of our lives, we were finally ready to give our final board exams. In the month of March, we had our practical laboratory board exam. For that, we had to go to a different high school branch somewhere far away from our house and unfamiliar to us as this was a standard procedure to ensure there was no cheating from the staff side to promote students so as to gain reputation for being a higher performing high school division. Nevertheless, we did it rather well on it. For my sister, the schools allotted to her for her board exams were in much proximity to her branch because just because she was a girl. For me, it was my uncle aka my mom’s elder sister’s husband who’d take me to and from home to exam centre schools and back on his scooter every time for the first year, then in our car for the final year anytime I had an exam while my brother would be enjoying the luxury of going to school in an air conditioned school bus. Then after the laboratory practical exams, we had theory board exams which meant again we had to go several kilometers away into an area we don’t often go into and write our exam there. So to take me to these alien locations, my mom turned to her sister’s husband who agreed to take me to the exam centers and back home while my sister got her friend to drop her at her exam centers. Throughout the Month of May, we were writing our board exams learning what we were taught in classrooms and at private tutions as well. Everything was going well… we were confidently writing all our exams and with good hopes of passing all of them. Until however, we got to the physics exam and that would change the course of my life again. The question paper was apparently wrongfully prepared by the board member with questions of lower tiered understanding being put in higher marks sections while the very important questions that require a lengthy explanation being put in the short questions sections or weren’t even asked. This was because the questions that were asked in the previous year’s question paper would likely be asked again sometimes in the consecutive year as well as the experts of the board members would decide which question to throw in for that year’s question papers and they would create at least three back up papers in case one of them gets leaked. But clearly, those who had designed the question paper didn’t do a good job on asking the right questions as the wrote learning system didn’t encourage any outside the box thinking… which meant we were trapped forcibly having to write anything that we knew about the mentioned questions. After exiting the exam center, I wasn’t feeling very confident about passing as even though I tried to copy from students of other batch of different school, even they were in the same boat as I was - destined for a re-examination… something that board had never done as their policy was that if a student fails in one subject, he/she is destined to repeat the same year all over again to appear for the exam (Or so I’ve been told). But for this goof up which happened on their side, they had to make a big exception and hold a re-examination for a second attempt. A few weeks later, the results came out and the results were just as I feared - Me and sister had cleared all subjects apart from Physics. For that, we were also given the opportunity for a re-examination for all subjects for which we opted to write for Physics which many had failed in and Mathematics (despite taking private tuitions throughout the year, we couldn’t clear it with good enough grades) as I had a chance to improve myself and score more in it. A few days later, the dates for every subjects were announced and we set to prepare for Mathematics and Physics. We filled the fees for those papers, prepared for those two exams, went to the center, wrote the exams and were done with it. A few days later, the results came out and the result was that we both cleared our supplementary exams. With the exam results finally out of the way, dad now wanted me and sister to concentrate on getting my driver’s license for India. So he had my mom help us out by asking our uncle (the same one who’d take and drop me to exam centers) who had us signed up at a driving school near his house where we would be spending at least a month learning how to drive on the roads of India. However, because I already had a driving license from Saudi Arabia, I didn’t needed to give any driving tests to prove myself and I could just directly get the driver’s license from the department by showing them my Saudi Arabia’s driving license as proof. Despite me not requiring any driving tests, mom had paid for my test as well because my parents wanted me to be around about with my sister for her safety when she was giving her driving test. It would’ve been just easier if they hadn’t paid for my fees and instead just asked me tag along with her. 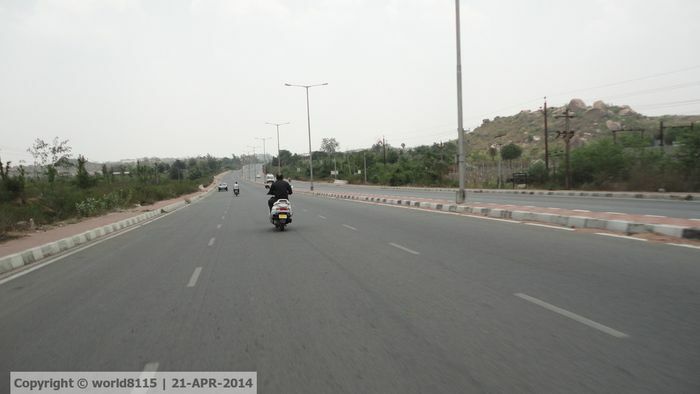 Nevertheless, I decided to take this as an opportunity to learn about driving on the Indian roads. The driving instructor turned up with a dinky old Maruti 800 that was modified to have an additional set of throttle, brake and clutch in the passenger footwell for the instructor to take control over when teaching novice candidates. 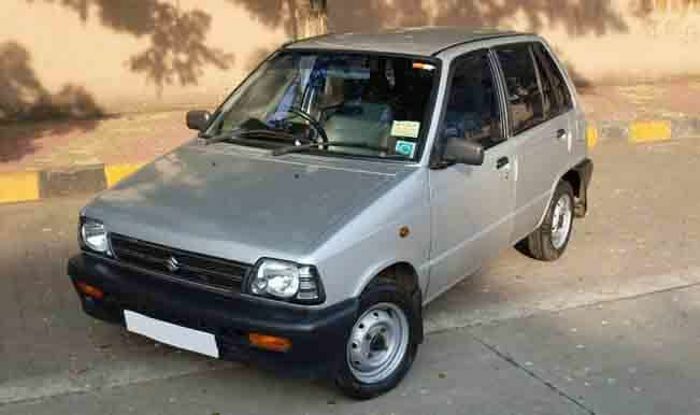 The Maruti Suzuki 800 was a very basic car that had an 800cc 3 cylinder with just a tad over 40 bhp. It was slow... very slow... too slow... way too slow to even pull itself when loaded. 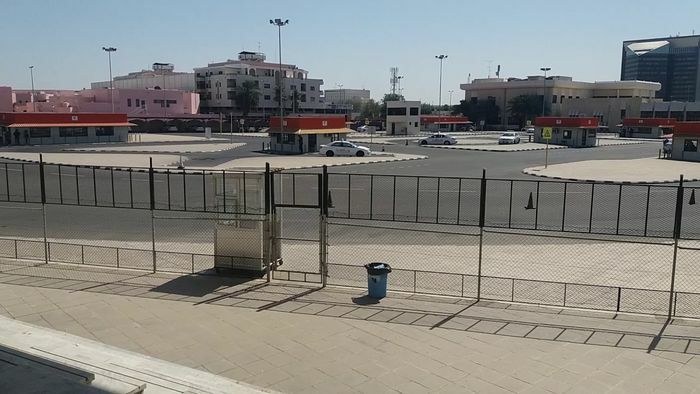 Unlike in Saudi Arabia where there was an entire facility built with all the essentials to teach candidates how to drive and theory classes teaching road signs and road markings… here there was no such thing at all. The method of teaching on how to drive was vastly different as well. There was no theory classes or even any proper driving techniques being taught at all. Instead, the instructor turned up and saw how we would be navigating through the traffic. On the initial day when the instructor turned up with the car we’d be driving, we were attested for our driving skills. He started off with my sister taking the wheel while I sat in the back along with my mother as even she wanted to get a feedback on how she would drive on the streets. The instructor demonstrated her how to release and engage the clutch. Then asked her to repeat the same. Obviously, she released the clutch after slotting into 1st gear without giving in any throttle and she makes herself look like a novice as the car stalls. After a few tries, she gets the hang of it and we get going. The instructor instructs her to keep the car in the right lane as that was the driving lane - A concept that I’ve found pretty unorganised, chaotic and very inefficient. She did drove at the speed limit while the cars kept overtaking us on the left… in a RHD driven traffic. So essentially, even the driving instructors weren’t good or qualified to teach driving properly and were teaching us what they felt was the right thing to do. Next it was my turn to demonstrate my driving abilities. We pulled over, swapped seats with my sister, buckled myself in and prepared to demonstrate the instructor with my abilities. I pressed the clutch in, slotted into first gear and then slowly started depressing the clutch. Just as I was about to fully release the clutch without giving any throttle input, the car stalls. Confounded by what just happened, I quickly put the car into neutral again, start the engine again, repeat the same technique again… and the car stalls again. To my embarrassment, I had to be instructed by the instructor to give some throttle before releasing the clutch so as to pull away. Never in my life have I ever driven a car that barely had any power at all. Then as we proceeded to drive along the road, the instructor gave me a few guidance - keep the car in the right lane and drive slowly. For me, this concept just seemed absurd with cars passing by my blindside. After a few odd miles of driving and a U-Turn later, we pulled over and the instructor gave his overview of our driving impressions. According to his analysis, my sister was stable and decent at driving while I was driving as if I was in a western country meaning I was driving “haphazardly” by his standards - indicating when changing lanes, driving slow in the left lane rather than the right and checking the mirrors for the traffic put me under the impression that my driving was too aggressive by Indian standards! What’s more, the car we had to give the initial test drive in was a 2000s era Maruti-Suzuki 800 with an 800cc 3-cylinder engine with just a tad over 40 bhp. It was so slow that when all 4 seats are loaded, it would require a lot of throttle input before the clutch is released in order to get it moving. I wasn’t used to such lowly powered cars, mashing the throttle and getting up and above the speed limit many times which left a bad impression on the instructor’s mind. Nonetheless, the deal was done and we’d be attending the driving classes for a month before we can apply for our driving license. The Mehdipatnam is a commercial area we visit at times. 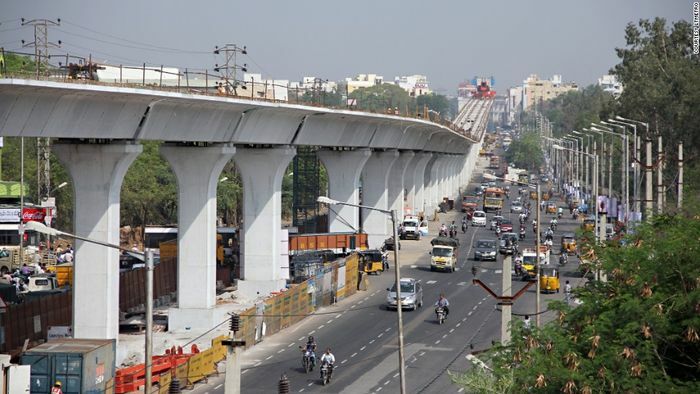 Popular for housing several IAS officers and educational institutes. This was also the route our driving instructor selected to teach us driving. A few days after the initial tests have been taken, the instructor arrived in the same car at our doorstep early in the morning and we began our month long trial of “learning to drive” on the roads of India. As my sister needed the most amount of training, she went first. She started out like any novice person. She stalled the car on her first attempt but got it going. The instructor asked her to drive straight on the main road, then take a U-Turn and a few turns in a residential colony, her first test was complete. Then it was my turn. After swapping my seats with my sister, I was ready for my first driving test. Again, just as I released the clutch without applying any throttle, the car stalls. I turn it back on and repeat it again and it stalls. This wasn’t a good start to my driving test. I was asked to repeat the same route that my sister had taken to which I did. Abiding his instructions, I drove on the same route going through some residential colonies and the main road at the pace he wanted. However, because the car was so pathetically under powered, I stalled it too many times after or during turning and at the end, I managed to fail the test on my first day! Never in my life have I ever failed at driving a car more than I had on that day! After an hour of just driving the car around in forward direction only, we finished our test for the day and we went home. Before we exited the car, the instructor gave my sister a ‘tick’ for completing the test and me a ‘cross’ for failing on his checklist board. I was very grumpy at the end of the test that I had failed because the car wasn’t powerful enough to move on it’s own by my standards. The second day, both me and sister headed out in the early hours of morning to give our driving tests again. This time, I was being very careful with the clutch and throttle. By giving a lot of revs first and then slowly releasing the clutch, I managed to get a much better start than on my first day. As, we moved along, we took a slightly different route but the “challenge” of driving remained the same - which was none. We drove on an empty main road, took a U-Turn, went back to our house and swapped seats with my sister and repeated the test again. This technique of driving forwards only on some empty open main roads went on for the rest of the month. Not once did they teach us how to reverse, make a three point turn, indicating or honking at a blind junction, parking maneuvers or teaching us anything associated with car like tire threads, mirrors, lights, lane markings or road signs. None of it was taught throughout our time with the driving instructor. And at the end of the month, we completed our test with the end result being my sister had scored more than me because I failed due to my inability to drive an under powered car! During our time with the instructor, not once did he pointed out any road signs, road markings, lane markings, overtaking maneuvers or anything associated with cars like it's mechanisms, what to look out for during maintenance or any controls inside like headlight switches, hazard, wiper stalks. Worst of all, throughout the entire course not once did me or my sister engaged reverse, so from her side, she hadn't learn how to do a three point turn, didn't learn to check her mirrors or use indicators. So as learning goes, they only taught us how to NAVIGATE through the streets and not actual learning. Which is quite depressing because everyone goes through the same ordeal and learns nothing about driving at all. At the same time when we were attending our driving lessons, my dad was visiting our family from Saudi Arabia for a vacation leave. As usual he was pleased with our progress that we were able to clear and pass our driving test with no hassles. After the tests were over, I had to go to the ‘DMV’, known here as Regional Transport Office (RTO) and submit my valid license I attained in Saudi Arabia along with my documents. Over there, a chief constable called me in, approved my documents and my license and assigned me a proving ground date to give a test on a 2-wheeler, get the certification and report back at the office. As my uncle was familiar with these locations, he took me on our Suzuki Access 125 to the proving ground. The proving ground was essentially an open dirt ground with one portion of it build to test a rider’s ability to run a course while the other portion was a narrow zig-zag course for cars, auto rickshaws and lorries. After getting our document papers approved, I was given the green by the officer to run my scooter on the proving ground. I put on my helmet and ran the course. It was a simple test where I had to drive straight over some mini speed breakers, then take a left, drive over a few big speed breaker, then sway past some barriers, then take left turn again and keeping left to a divider, pass the line. After completing the “gauntlet”, I went into a small hut in the middle of the proving ground where an officer was sitting at his desk. I reported him about my test and he approved of my claim and gave me a pass… even though no one saw me attempt the course. After helping out some locals by lending my helmet to them, we went to a booth near by, submitted our documents, got them approved and went on our way back home. The next day, we went to the RTO office and submitted my approved documents and papers. The chief officer then called me along with others waiting for their license inside his office and asked us take up the active computer at a desk and answer the questions regarding road signs and driving maneuvers on the screen… even though none of it was taught during our driving classes here. But I was lucky enough to attend the classes in Saudi Arabia and get knowledge and awareness about them. Hence, my confidence grew up that I would be repeating the same here as well. While the officer got busy checking the documents, I managed to help out a young chap pass the test by telling him the right answers. Then it was my turn and as I expected, the questions being asked were the same again that had appeared for that guy. I answered all of them right, showed it to the chief officer and got my final approval that I needed to get my self a valid driving license. Then I was informed by one of the staff members that I would be receiving my driver’s license in a post mail. And surely enough, a few days later, I got my driver’s license in a post mail. Finally! After a wait of almost a year later, I got my country’s driving license and was legal to drive and ride anywhere within the country after dealing with all the issues, hurdles and struggles. Never before have I felt privileged to get past most of the hurdles and unnecessary troubles to get my driver’s license but the feeling of getting my country’s own driving license was well worth it the trouble. After that day on, I could go about almost anywhere I want to any day knowing that I don’t have to worry about doing anything illegal. It was a very satisfactory feeling. Because my sister had to get her driving license from scratch unlike me who already had a license from Saudi Arabia, she needed to attend those driving classes, get a learner’s permit and then go through a test the following year as she would turn 18 then and then get herself a full driving license. If not for either, there's just the typical traffic snarls around the city due to mismanagement and lack of direction of road mapping infrastructure. Despite the fact they taught us nothing, and with the roads mostly being unpaved with no road markings, road signs, standardized junctions, medians and dividers were all lacking, it costed us just around $10 for both me and my sister at the time to get our driving licenses. During my time at the high school, I would interact with some of the new friends I made and go out together on either my scooter or one of their brother’s motorcycle. As I didn’t have a driving license at the time and none of our vehicles have registration plate either and that I hadn’t learn to ride a scooter yet, I was forced to rely on my friends to help me out when going out in the city for hanging out. But that’s what we had got up to in the last year and after our finals and my driving tests. At times we’d let our friend ride my scooter while me and another friend from IISR would sit together with him doing triple riding. Sometimes, we take the scooter on towards destinations where there is a chance of police patrolling and get caught. Once caught, we’d pay a small bribery sum of money and be on our way again. After I got my driver’s license, I’d spend time getting to know the car a bit by driving around our city or giving my friends a ride in it. It was also about a year later after we got our vehicles, we got our vehicle’s registrations as well. Thought the DMV department were annoyed at us for getting the license plate numbers so late, we got the job done regardless. And by this stage, both our vehicles ended up with lots of dings and dents all over the body after having been driven through the bustling chaotic traffic of our city. Nonetheless, they were still up and running. After our finals were over, me and sister attended driving classes and within two month, we got our license. After our exams and supplementary exams were over, we awaited for our performance results. In the meantime, all of us, me, my friends and sister were all running around with our parents trying to get into the best universities we could find. However, there were only two universities that were “reputable” by our city standards that offered great job placement in known companies while others didn’t offer much in terms of facilities. 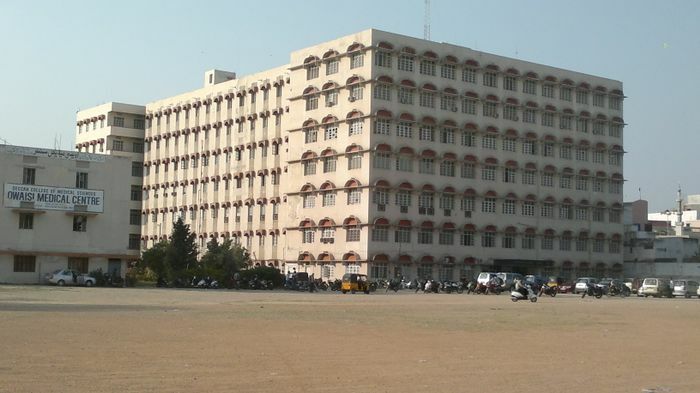 These were namely the Jawaharlal Nehru Technological University, Hyderabad (JNTUH) which offered B.Tech graduation degree or the Osmania University (OU) offering B.E degree. The belief of my parents and my cousins was that graduating from OU grated more privileges as it was a knowledge based system compared to JNTU which was more technical based learning system even though my parents both graduated from JNTU. None of which made sense at the time and neither did I understood the value of learning about technical stuff over knowledge based learning. Hence, they encouraged me and my sister to get ourselves an OU degree as it was a well known university worldwide and would be better in securing better jobs with better pay. As I was still keen on fulfilling my dreams to build my own cars, I still stuck with Mechanical Engineering course** while my sister opted for the Computers course as the thinking behind my parents was that it was a field that didn’t require any physical efforts or dangers and was a dignified field. The trouble with these universities was that they were very far away and considering the traffic situation in the city, it didn’t seem like a good idea spending so much time in traveling. So we looked up close within the city limits for university affiliated colleges. 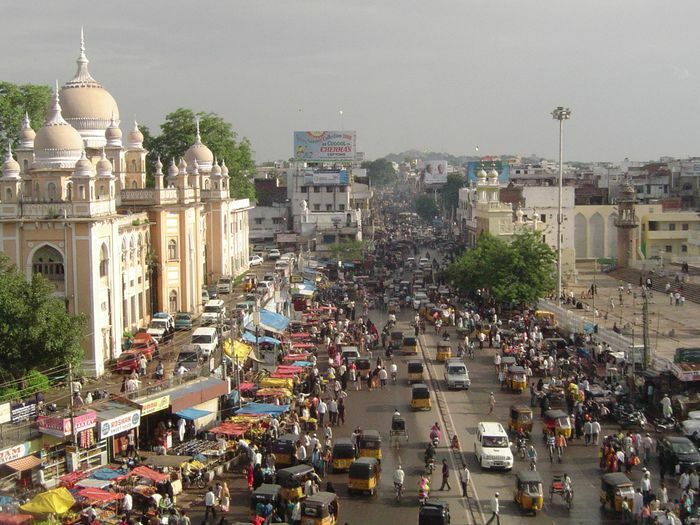 OU had two “reputable” colleges within the city limits that were popular among Muslim minorities - Muffakham Jah College of Engineering and Technology (MJCET) and Deccan College of Engineering & Technology (DCET). We ran back and forth between these two colleges prior to our result being announced to secure a seat in the college as so did several others. If you had a political advantage, the chances of securing a seat in these colleges was relatively high and as dad had some contacts in his circle through which he was able to get some talks done, we made some reservations for me and my sister until the results would be declared. An SAE Formula open seater built by the students of mechanical branch of MJCET. 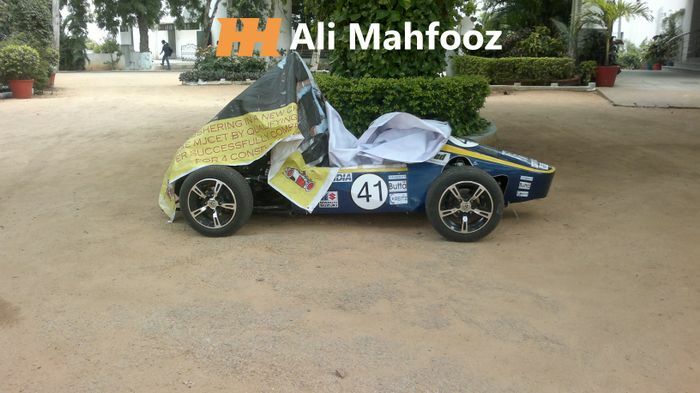 The car was on display after competing in the SAE Formula and came in second place at the time. Next we had to appear for the Engineering Agricultural and Medical Common Entrance Test (EAMCET), a university entrance exam that we again had to attend our high school coaching classes for. It was a Deja Vu moment once again as we’d spend all day studying and then attending the private tuitions for the entrance tests and that I had already attended this exam two years before and failed miserably. This would go on for two months before which we’d appear for the entrance test. Just like the board exams, we were allotted separate colleges to write our tests. I had my uncle again who decided to take me to the college again as I was allotted a seat in MJCET college this time. Because this time I had done my preparations much better than on my previous attempt two years ago, I was confident I would ace it this time around. After entering the examination hall, we were given the marking sheet to fill it up and await for the question paper to be handed. As the time began, the question papers were handed out and I began answering the questions o the answers I knew well ASAP. And within 2 hours I had attempted 60% of the questions. The last half an hour I had resorted to cheating by asking candidates around me and eventually I got some answers and then the last 15 minutes, I dashed and marked the answers at random hoping that I would struck luck. After the time was up, I met my close friend who was also allotted the same exam centre as me and we discussed the paper on our way back. My friend who came with his grandfather went off with him while I went back home with my uncle in our car. Just a few weeks after the entrance test, our results were declared online so immediately, I went onto the website to check my results. With some luck and hard work, I managed to score a decent rank of 50k-ish among the 200,000 candidates that appeared for the exam and cleared it all with some average score in some subjects. My parents were proud of me and my sister’s achievement and threw a little treat party for clearing the exam and completing high school and the entrance examination. But little did we knew what catastrophe would be awaiting us later on. After the EAMCET results were announced, we were allotted some colleges and universities for student counseling on certain dates based on our high school admission ‘roll number’ where we would submit our results and previous school report cards for an allocation in one of the city’s affiliated colleges. Unfortunately, these colleges were really far off on the outskirts of the city which meant we had to travel several kilometers to reach these colleges and universities for counseling. We first went to the JNTUH for my sister’s counseling. Once there we had to wait hours until her number were called out. No hospitality, comfort or facilities were provided by the university staff or officials to any of the students or parents which meant we had to sit under the scorching heat for hours. It was a very hostile and a very rude treatment from the university management. Eventually, after hours of waiting, my sister’s batch numbers were called in for counseling. She went inside with all her report cards towards the ward from the board analyzing them who were granting the certification of counseling admission in a student’s desired university. A few minutes later she walked out and stated that because we had completed our primary education outside the country, we were regarded as Non-residential Indians (NRIs) which meant we had to get admission in the colleges via NRI quota only and that meant shelling out tons of cash. Suddenly, all that hard work that we did… staying at college late then going to private tuitions and studying late night only to have all our hard work rejected just made me filled with anxiety and emptiness. We didn’t even bothered to visit my allocated center as we knew what the resultant outcome would be and we headed straight back home. The next day, we revisited MJCET college again for admission. Unfortunately, by the time we got there, almost all the seats were filled out and were spoken for. This meant that dad had to find a way for me and sister through his contacts to get us administered in the college. We met with the board examination department manager and discussed about my admission in the Mechanical Engineering course. He asked me about my board exam result and when I showed it to him, he immediately rejected my admission plea because I was unable to clear my Physics paper on my first attempt during the board exam… and because of the policy of perfection that the college followed, irrespective of the boards fault, they wouldn’t accept such students… which meant only my sister got to be administered in the college opting for Computer’s course. This left me with the option of joining DCET only along with my other friends who ended up with the same fate. The reason we aimed for MJCET is because it was a more reputable college than others and that was active in community managements and had attracted more companies for placements that we were told about. It would’ve been more convenient for my sister to go to the same college together as I had started learning how to ride a scooter then but alas, the fate was sealed. Even after falling back 2 years and working my way back up didn't seem to have any rewards of being granted any credential qualified access. The reasoning behind such a system was that a student had to study in the country from 8th grade or lower in order for him/her to be classified as a local student when applying for any university entrance exams and because we didn't do that, we weren't qualified for the local students quota and had no choice but to go with the NRI quota instead. Only my brother would qualify for the local quota category as he started out here in 7th grade. After failing to get an admission in the MJCET, we tried our hand at the DCET which was owned and run by one of India's well known politician family brothers. A few days later, we went to the DCET for my admission and over there during a lunch break, I would meet my younger cousin who was a year ahead of me studying in the mechanical branch. My dad asked him about the status of the college, staff and it’s facilities to which he pointed saying the and after taking a tour around, dad and I were pleased with the mechanical department facility. While the location wasn’t exactly accessible without a few dings and dents to be implanted on a car and was decent for a 2 wheeler at best, I wasn’t too bothered by it. When asked with the principal of the college, they were willing to accept me into the mechanical branch without any hesitation. Some of my other friends also opted for courses in DCET like my close friend who luckily lives behind the college premises. Therefore, he would be in the same class with me and would prove to be a convenience. Once again, dad found links through one of his contacts to get my admission in the college by asking the officials to lower my admission and NRI status fee which would cost me and my sister together as much as a typical city car. After going back home, my parents had a discussion about my and my sister’s admission. After much time and confirmation later, dad infuriatingly decided to pay for our admission from his savings. Then on the date of NRI admission counseling, dad got cash checks ready with all our education credential records ready to be submitted to the management. Once we arrived at the college lounge, people were called in to the office one by one and had our records and cash checks checked and stored in their locker and granted us admission in the college. It was the same ordeal with my sister as well when we went to MJCET for her admission as they demanded comparatively more cash for her admission compared to mine as MJCET regarded themselves as a “premium educational institute”. After our admissions were completed, we returned home with dad looking very grumpy and within a few days he had to return to his job in Saudi Arabia. Out of frustration, he told us to start studying right away… even though we just finished our admission and haven’t even started our fresher year yet. Then after a few days, my dad would leave for his job back to Saudi Arabia and a few days after that in September, I attended the orientation day one the first day of freshman year with my mother along with my close friend who came along with his grandfather. During the interval of the presentation, my close friend and I discussed and brainstormed ideas together for the final year project as we were both very excited for the road ahead. A few days later after joining and starting my freshman year classes, we get a call from the MJCET that they have a seat vacant in the mechanical section for me to join but alas, it was too late as dad had already paid the fees for my admission in the college and the classes had already begun. The entire hassle created by the one faulty paper during the board examinations and the very late call that we got from the MJCET management was just annoyingly badly managed by the staff and all of the board members creating an astronomical errors that had completely changed the course of my life entirely... again! 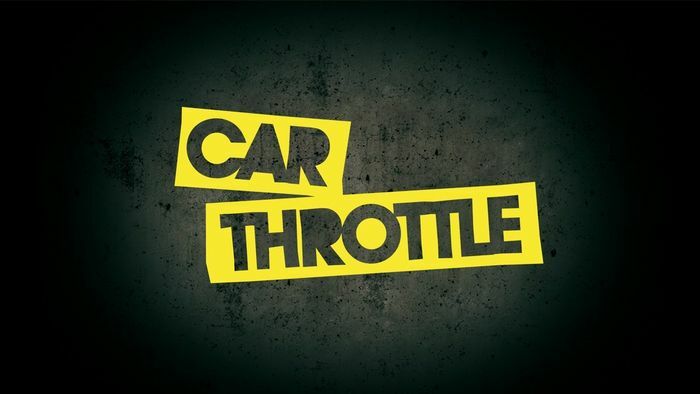 Back around when I joined Car Throttle, this is what the CT logo initially looked like. Around September of 2012, I had started attending my freshman year at university. I would start my day at 8am, get ready and leave by 9am. Our classes started from 9:40 am and they’d go up to 4:30 pm. After the exhausting day of riding the scooter through the morning rush hour to reach college and then doing the same when coming back home made me feel like I’ve put in a lot of effort in doing something that shouldn’t have taken so much energy to begin with. The heat, the dust and the egregious traffic congestion would always make my 5 km journey into a 20 minutes (when a scooter or 30 minute when on a car) of carefully navigating through the traffic brain work. After the stressful day of traveling at snails pace and spending much of my time inside the classrooms listening to lectures and taking down notes, I’d come home exhausted and look to entertain myself. Unfortunately, there was no PlayStation 2 or 3 at home during this time around and the games that I had Assassin’s Creed series and Call of Duty: Modern Warfare were all completed. The only other option was I had was to surf Facebook and have a read all the events and shares from my “friends”. These friends were from my previous Al-Falah DPS school who are either in US, Canada or Australia. Life was very boring by this stage as I would repeat these events in recurrence for the next few weeks… until one day, I would stumble upon greatness. A lot of the memes shared by the 'Car Memes' page on 'Car Throttle' spoke about the community's nature with good humour. One day after coming back from college, I connected my laptop to the internet and started surfing through Facebook. I was scrolling down through the posts when I encountered a few shared posts from one of my “friend” from DPS. Because he was an amateur car guy, he basically shared anything that he resembled best with. It would be here where I discovered a Facebook page called ‘Car Memes’. Curiosity got the most of me seeing all the posts and memes and I visited the page and started going through the posts… going deep liking every post in the way I would encounter in the way all the way upto the first post. 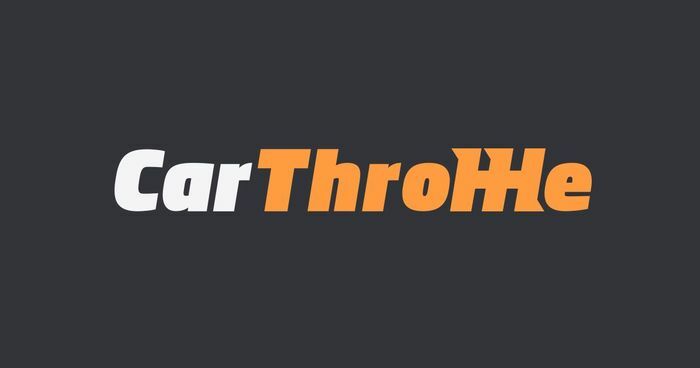 Whilst going through the posts, I encountered some posts shared by ‘Car Memes’… and that page lead to a website by the name of ‘Car Throttle’… dedicated to sharing news, stories and events from the world of automotive. 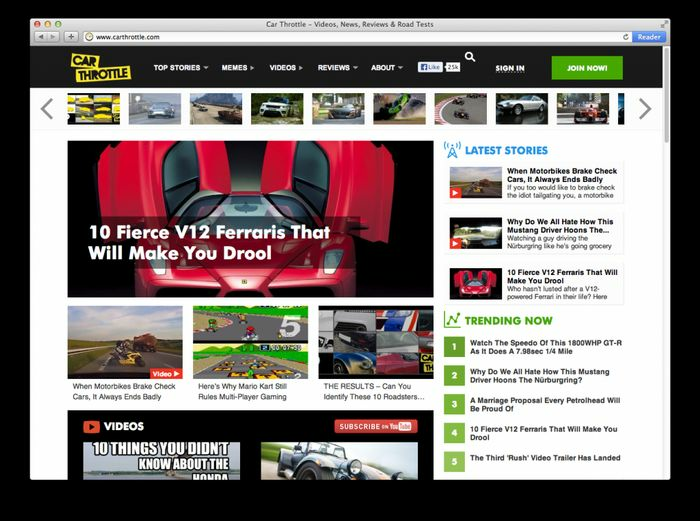 When I visited Car Throttle for the first time towards the end of 2012, this is what the website looked like. Some of the news and articles shared by the page made me intrigued and made me visit the website to read them thoroughly. There were some articles and stories written about cars which were very impressive. The writing was something you’d expect from a professional journalist with a good sense of humour added to the mix, there were also some posts regarding the development of stories like the Toyota GT86, modified Nissan GT-Rs and Skoda Fabia VRS… again, all well written and attracted my attention to read them thoroughly. There were also other stories shared regarding entertainment and interactivity of the quizzes which were tempting. Some of the early posts and articles were made by members like Darren Casey, Alex Kresten, Ethan Smale, Gabor Szedlak and of course the founder of Car Throttle himself, Adnan Ebrahim. After a few days of going through the 'Car Memes' Facebook page and seeing them consistently sharing 'Car Throttle' content, I decided to dig deeper into the website and read other older posts and articles. Eventually, while surfing through the website, I found the "memes" section of the page where the community would submit the memes they've created which ultimately would get shared on 'Car Memes' Facebook page where I was seeing them in the first place. Seeing the love, passion, humour and wisdom all shared on the website reminded me about my love for brands like Pagani and Koenigsegg who started from nothing and came to be known in the mid-2000s which ultimately convinced me to join the community and be a part of it. And so after a few weeks of lurking on the website, at the start of 2013, I decided to create my 'Disqus' account, a blog comment hosting service which is what Car Throttle was using at the time and finally be a member of this amazing new community. From that day on, I would slowly start to steer away from Facebook and start spending more time on Car Throttle website instead. So my typical schedule of getting back from college and browsing Facebook was changed to mostly browsing Car Throttle more… reading and interacting with the articles and posts the staff would be making or just browsing through the memes section. Only after completing browsing Car Throttle website at the end of the day after completing my studies would I think about surfing through Facebook for a while. And hence, slowly I started to win my battle over depression and anxiety thanks to Car Throttle and it’s amazing community. 2013 for me was a start of something positive to look up to after all the suffering and ordeals I had been through. It was nice to finally find a virtual place to hang out and interact with people of like mindedness and share my passion with them. I decided never to look back and enjoy and savor every moment on this amazing place called Car Throttle. One of the early pictures of the CEO and founder of Car Throttle I saw for the first time. This brings the Part 3 of my blog to an end. Unfortunately, I was unable to squeeze everything I wanted to mention in this one blog which is why hopefully, the Part 4 will be the last blog post I’ll make filling up the remaining part of my story into it. Also, I would like to apologize to the readers who were keenly looking forward to reading my blogs only to be delayed so much due to the family issues I am forced to go through which you’ll be reading about them in the next and hopefully, the last autobiography blog post I’ll be publishing.